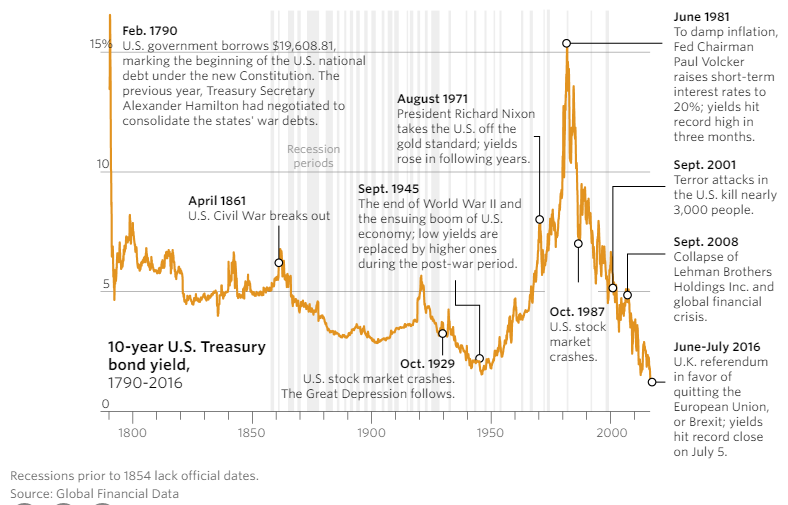 What does a negative bond yield mean? ~ If a bond has a negative yield, it means the bondholder loses money on the investment. If you lend somebody money, they have to pay you back with interest. 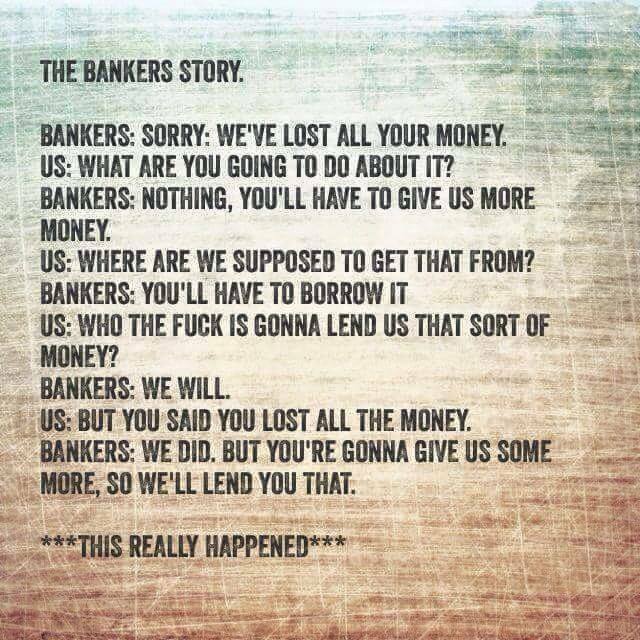 This is the basic premise of all finance, from street corner loan sharks to Wall Street loan sharks. Bonds are sort of like loans—except you can trade them. Normally, if you buy a bond, the issuing government or corporation agrees to pay you interest. They don’t always make those payments—they default, go bankrupt, etc.—but that’s the way things are supposed to work. No longer. 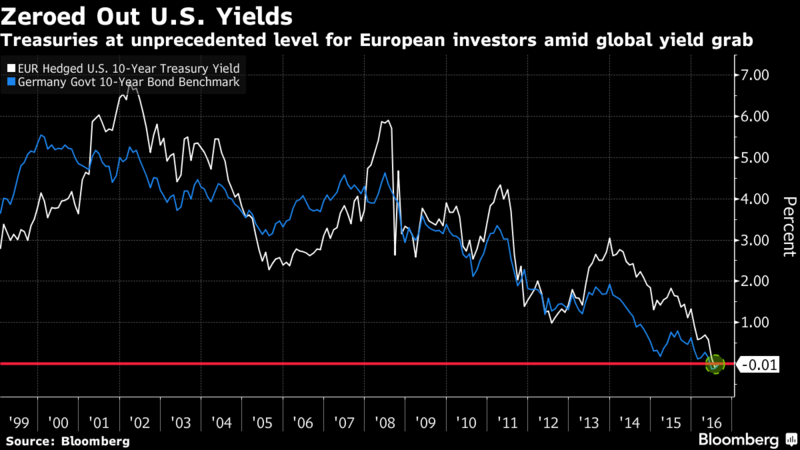 With central banks pushing the limits of their ability to stoke growth, interest rates on many bonds are in negative territory, effectively turning the core rule of finance on its head. 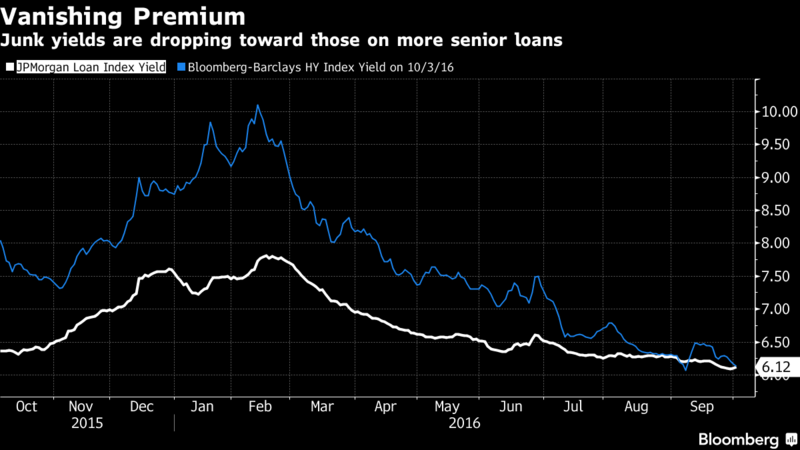 When investors buy bonds with negative interest rates, they’re agreeing to pay a borrower to take their money. 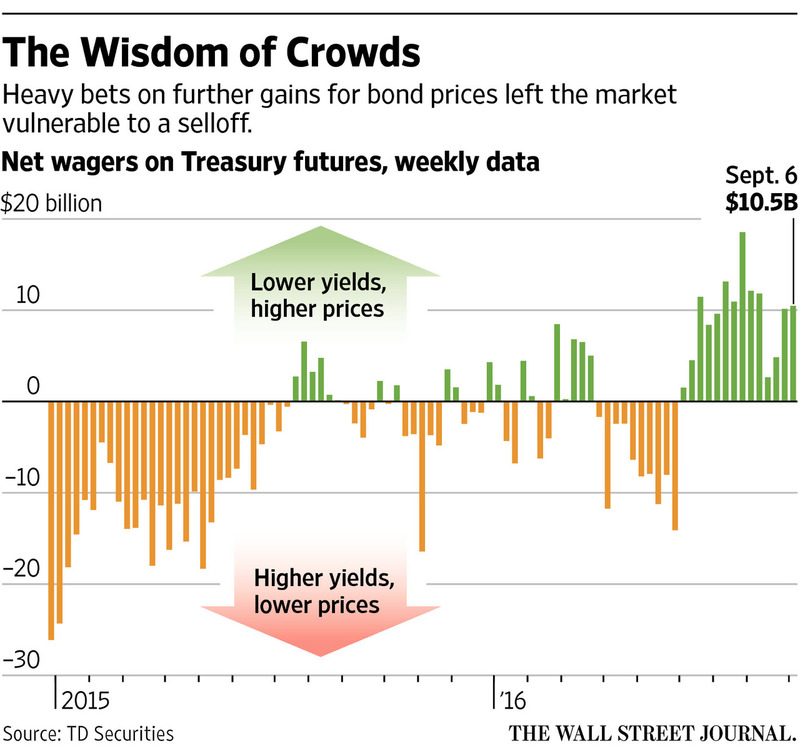 While odd, this is now the situation for large swaths of the market for government bonds. Central banks in the euro zone, Sweden, Switzerland, and Denmark have all pushed their benchmark short-term interest rates into negative territory. 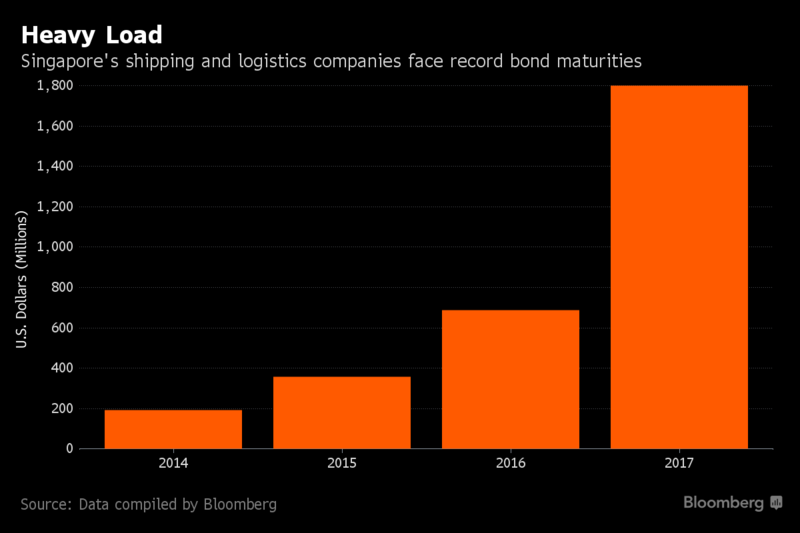 That’s rippled out to longer-term bonds. For instance, yields on German government bonds that mature over the next seven years are negative. 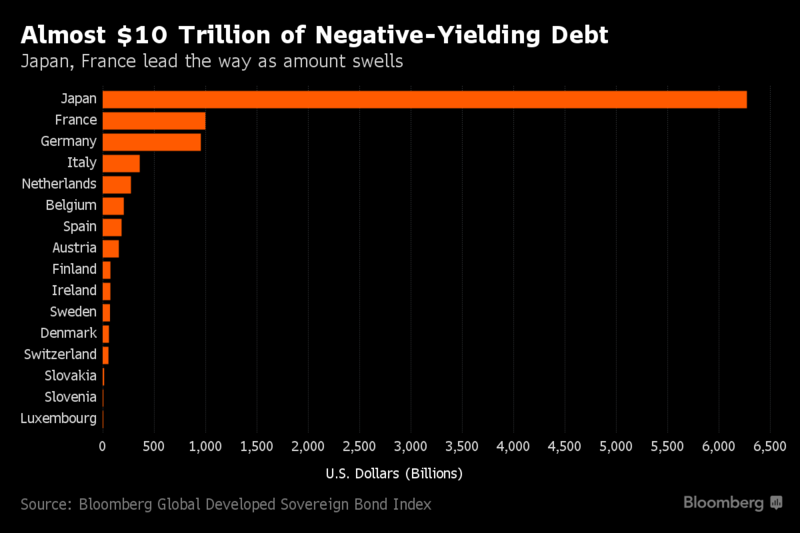 Swiss 10-year bonds offer negative yields. And after the Bank of Japan moved to negative short-term yields earlier this year, the yield on the Japanese 10-year note fell into negative territory Tuesday (Feb. 9). Moreover, currency fluctuations can also turn bonds with negative interest rates into profitable investments. For example, say the yen appreciates strongly against the dollar. 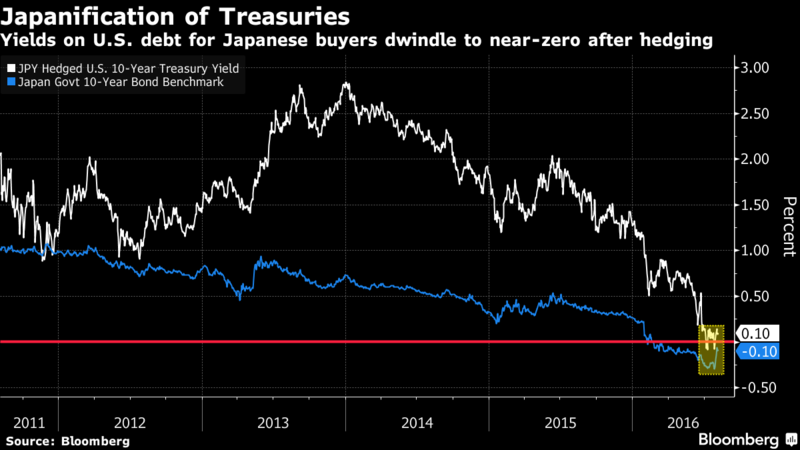 That appreciation could be enough to turn a bet on a negative-yielding Japanese government bond into a positive yielding investment, at least for a US-based investor. In fact, paying people to borrow your money has been a pretty good trade so far this year. In US dollar terms, buying an index of Japanese government bonds or Swiss government bonds has returned more than 6% so far in 2016. That’s far better than a rather ugly 9% decline—including dividends—that investors got from investing in the US stock market. So paying a borrower to take your money isn’t a *’s bet after all. At least not lately. KUALA LUMPUR (July 12): Foreign investors’ net purchase of RM5.7 billion worth of Malaysian bonds in June brought the foreign holdings of government debt instruments to an all-time high of 34.2%, according to Nomura Global Markets Research, with a continued inflow being “constructive” for the ringgit. Compared with May, Malaysia saw a net foreign outflow of RM3.4 billion. The inflow last month was channelled to government bonds, while there were some outflows from shorter-tenure debt instruments, such as Bank Negara Bills and Malaysia Treasury Bills. “There were inflows into government bonds of Malaysian Government Securities (MGS) and Government Investment Issues (GII) together, for the ninth consecutive month in June. Foreign investors increased their holdings of government bonds by RM7.1 billion in June, against RM2.3 billion in May, and pushed foreign ownership to 34.2% — a historical high,” Nomura said in a report July 11. When it came to MGS, Nomura said there was an inflow of RM5 billion in June, pushing up the foreign ownership by 1.1 percentage points from May to 49.8%, also a record for foreign ownership among this debt instrument. Foreigners also snapped up RM2.1 billion worth of GII last month, compared with RM700 million in May, said the research firm. As at June, foreign ownership in this instrument was at its highest since the global financial crisis, at 9.5%, compared with the 8.7% figure in May. “Inflows in June also pushed the year-to-date foreign absorption of government supply to 72%, from 61% in May. Note that the absorption of net supply by foreigner investors in 2016 was 60%. The average monthly inflow in government bonds in 2016 so far has been RM5 billion, which is higher than the RM1.9 billion in 2015,” Nomura added. Nomura said foreign holdings of MGS and GII currently account for 92.6% of outstanding foreign holdings of government bonds and Bank Negara Bills, against January 2016’s 86.9%. The fate for shorter-tenure securities was reversed, albeit the outflow was smaller from May. Bank Negara Bills had outflows of RM1.2 billion in June, pushing down the foreign participation to 84.4%, from 90.9% the month prior. Treasury bills’ outflow meanwhile fell to RM200 million in June, versus RM700 million in May. “From a rates strategy perspective, we remain comfortable with our recommendation of long five-year MGS (3.62%, maturing 2020) and seven-year MGS (3.80%, maturing 2023) positions. We believe [there will be] better liquidity, monetary easing expectations, limited net supply in the current quarter, and strong demand from both foreigners and locals support bonds,” said Nomura. At 2:41 p.m., the ringgit was up by 0.18% against the U.S. dollar, trading at RM3.9868 per dollar. Otto Marine, which owns a fleet of vessels to support oil companies, said in a statement dated July 15 that a resolution was passed by bondholders to postpone the maturity of its S$70 million 7 percent notes due August 1 to February 1, 2017. The company’s controlling shareholder is seeking to delist the company and plans to use a loan extended by RHB Bank to repay bondholders assuming the delisting is completed..
UBS on Friday suggested that DBS did not provide for its S$700 million Swiber exposure at all and that specific provisions at the bank look low. DBS said on Thursday it expects only half of the total exposure of about S$700 million to the Swiber group of companies - comprising loans, bonds and off-balance sheet items - to be recovered because the exposure is only partially secured. Singapore's largest bank said it will tap its general allowance to provide for the anticipated shortfall, bringing the net allowance charge to S$150 million. The disclosure, following Swiber's stunning move earlier on Thursday to wind up the company, confirmed market rumours about DBS's significant exposure to the beleaguered oil-services firm. A fresh UBS report said: "From the statement, it doesn't look like the bank had provided for the exposure at all so far." "Simply put, (it) adds one more quarter of specific provision charges." In Singapore, there are two forms of provisions. One is called a specific provision, which is a portion of earnings set aside for specific loans that are under stress. The second is known as a general provision, which is an overall cushion against loans that may, even in the ordinary course of business, come under stress. Under Monetary Authority of Singapore (MAS) rules, Singapore banks must always maintain a general provision of at least one per cent of loans and receivables after accounting for collateral and deducting any specific provisions made. UBS noted that of the expected Swiber-related loss of S$350 million, 20 per cent - or S$150 million - is being provided through specific provisions and the rest 30 per cent - or S$200 million - by tapping into the existing general provisions. This alone is likely to lower the general provision coverage by seven basis points (bps) to 0.92 per cent. Provisions are calculated as a percentage of all loans. The average quarterly credit cost over the last five quarters has been around 22 bps, or S$160 million, and the Swiber-related specific provision charge adds another 5-6 bps to this. And had the bank chosen to provide for the loss fully using specific provisions, the incremental credit charge would have been 13-14 bps - slightly higher than the management guidance of a pick-up of 5-10 bps in credit costs in FY16 versus last year. "Have the Singapore banks provided enough? We have long argued that specific provisions at the banks look low. This is also true at DBS," UBS said. In a separate but related report, UBS also suggested that OCBC appears more proactive in its non-performing loan classification, is providing better disclosures and is more prudent overall. MAS is querying banks on their provisioning decisions, and has made clear that banks should have prudent standards, BT reported this month. "We don't prescribe provisioning, but in the process of continuous questions, they know that they need to be conservative and prudent when it comes to provisioning. Long before the loan goes bad, you should have provided fully for it," said MAS managing director Ravi Menon at a press briefing. 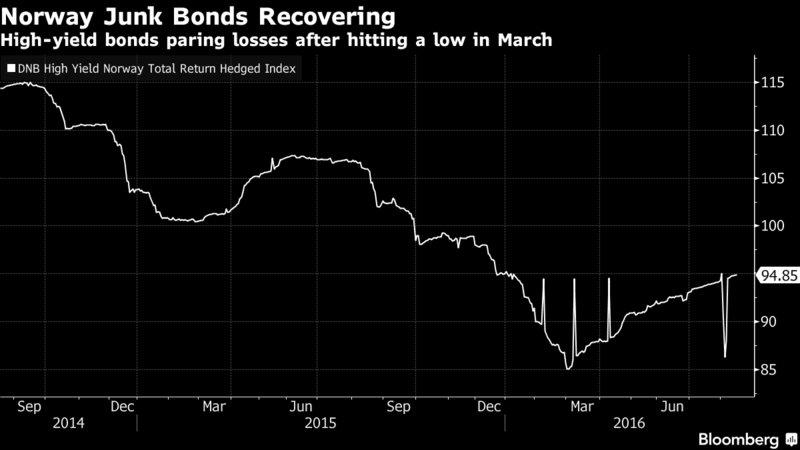 SINGAPORE bonds continue to hit new highs despite the high profile collapse of Swiber debt. Fixed income bankers say the bond market is doing well because of low interest rates, which is also a global phenomenon. The Markit iBoxx Singapore corporates return index hit a record 117.43 on Aug 1 and is up 3.3 per cent year to date (YTD). Another measure, the Singapore Fixed Income Index (SFI), for the week ended July 29 has outperformed the STI by 5.90 per cent YTD, according to the Singapore Exchange (SGX). YTD, the SFI is up 5.41 per cent - comparing similar periods (January to July) in the SFI's eight-year history, the SFI has performed strongest in 2016, said the SGX. On a year-on-year basis, the index is up 6.32 per cent and this time last year, the index was up 0.54 per cent. "Globally, corporate bonds have generally outperformed equities thus far this year, a phenomenon that has been mirrored in Singapore," said Todd Schubert, Bank of Singapore head of fixed income research. The main reason for this is that central banks' accommodative monetary policies have created a "lower for longer" interest rate environment that is positive for bonds, he said. 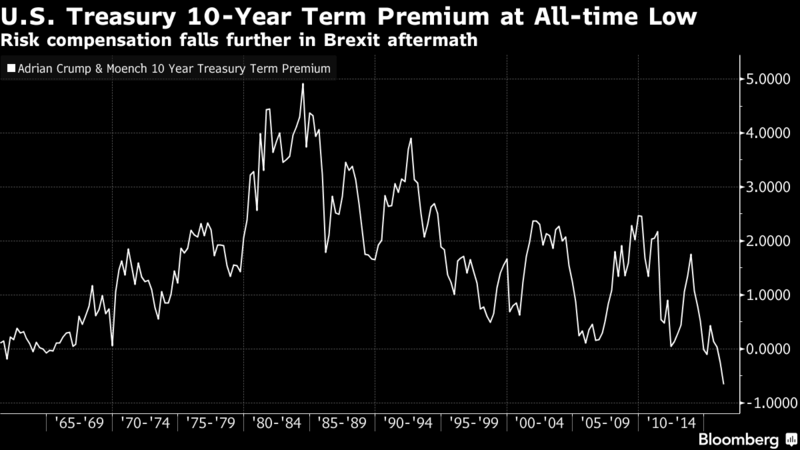 In Singapore, the three-year and five-year swap offer rates saw yields drop by around 100 basis points thus far this year, tracking very closely the trend of similar maturity US Treasuries, Mr Schubert said. "Furthermore, equity performance depends on earnings momentum and beating consensus earnings expectations while bonds are driven by the ability to pay principal and interest on a timely basis," he said. "Hence, the slowdown in the Singapore economy has impacted the former much more than the latter," he said. Even the recent collapse of Swiber bonds has not dented sentiment, rather it's driving investors to the less risky investment grade (IG) issues. Terence Lin, assistant director of bonds and portfolio management at fund researcher iFast said that the main driver this year for SG bonds has been the decline in rates and long dated high quality paper has been outperforming lower quality credit. "Swiber has just added to the uncertainty and lack of confidence in high yield names, but also helped to fuel more interest in safer SGD credit," said Mr Lin. Swiber is the third SGD bond to default in recent memory, joining Trikomsel and Pacific Andes Resources Development. The amount defaulted by the three comes up to almost S$1 billion. Said Clifford Lee, DBS Bank head of fixed income: "In terms of general market tone, it's extremely firm and constructive." He noted that since 2013, the market has seen some S$80 billion of issuance. The recent defaults while painful for investors is "not broad based, won't unnerve the market as a whole", said Mr Lee. What it has done is to make it harder for smaller companies to access the bond market, he said. The biggest supply of bonds from small and medium enterprises was in 2013 and 2014, thereafter it halved in 2015, he said. Despite the recent negative news on Swiber, the vast majority of corporate bonds in Singapore have been issued by banks and real estate companies, said Mr Schubert. "So even if we have additional defaults stemming from the oil and gas industry, the overall impact should be fairly modest overall," he said. One fixed income banker noted that SGD bonds have underperformed USD bonds, and weaker SGD issues have liquidity problems. Devinda Paranathanthri, UBS Wealth Management director, Chief Investment Office said that SGD corporate bond index has returned 4.15 per cent, and this has underperformed compared to USD bond indices. "Index performance alone does not show the challenges in the market such as liquidity," he said. Emerging market fixed income as an asset class has performed well YTD: Asia USD credit is up 8.08 per cent and EM USD credit has gained 10.36 per cent. 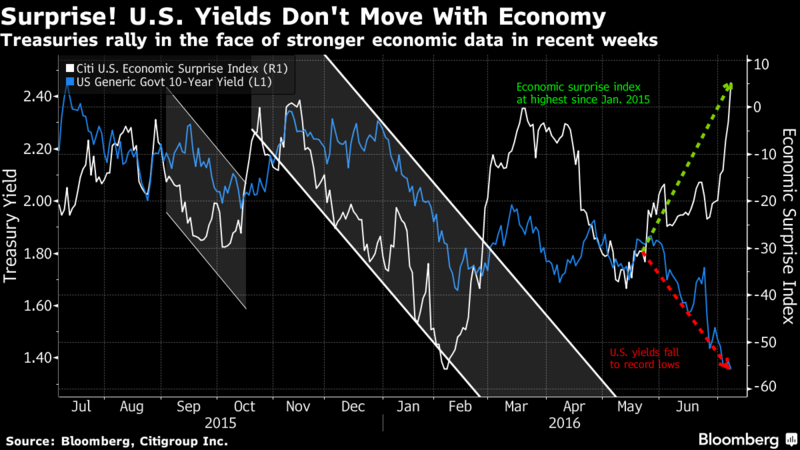 "This is due to lower US Treasuries rates and lower credit spreads. 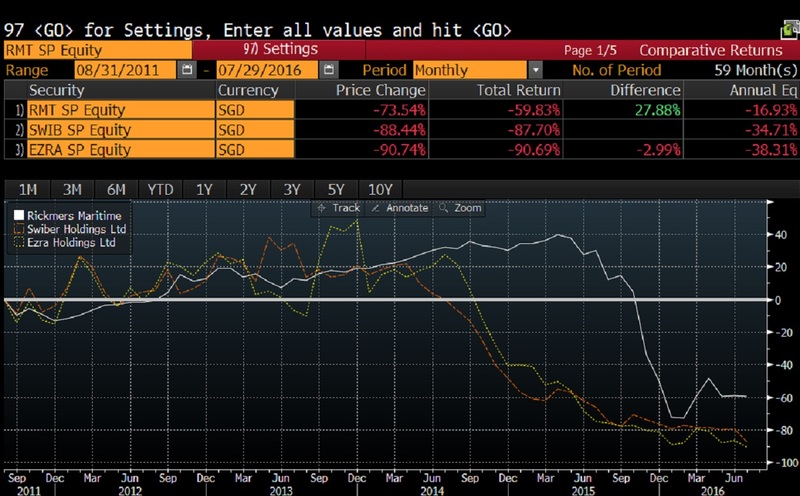 SGD bond market has underperformed in this context," he said. 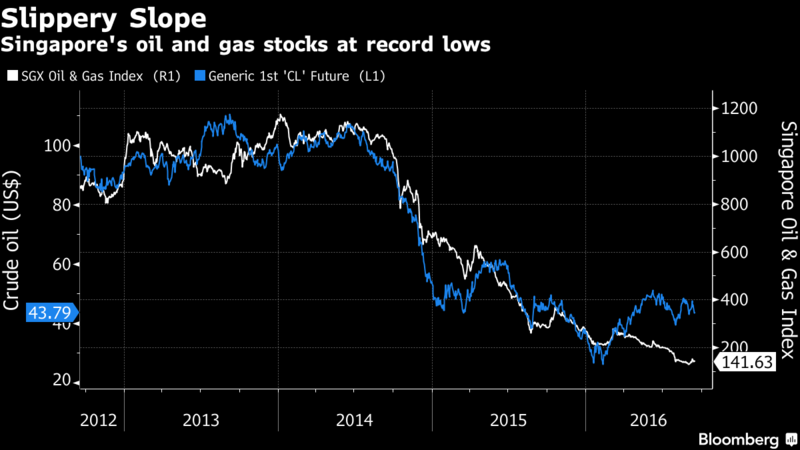 "Additionally, liquidity has dried up substantially in the SGD market following the Swiber default, making it difficult to trade some of the weaker issuers, particularly in the oil & gas sector," he said. I previously wrote that no amount of regulations can protect greedy High Net Worth Individual accounts. Here I critique DBS for selling these High Yield bonds (the correct term for “junk bonds”) to individuals. The high yield bonds (HY) are a specialist segment of the bond market and as such invested by specialist fund managers who are familiar with the characteristic of these bonds. One cannot simply invest in HY bonds as if they are normal bonds. HY bonds are meant to be invested as part of a highly diversified HY bond portfolio by the specialist fund manager. The idea is that the higher risk of default needs to be mitigated by diversification in which the probable percentage of default in the portfolio firstly will not wipe out the entire portfolio and secondly in combination with the high yields, provide a superior total rate of return (so long as the percentage of default is not excessive). All of that means HY Bonds are not meant to be sold to individual investors who neither have the specialist skills nor the means to build a diversified HY portfolio. 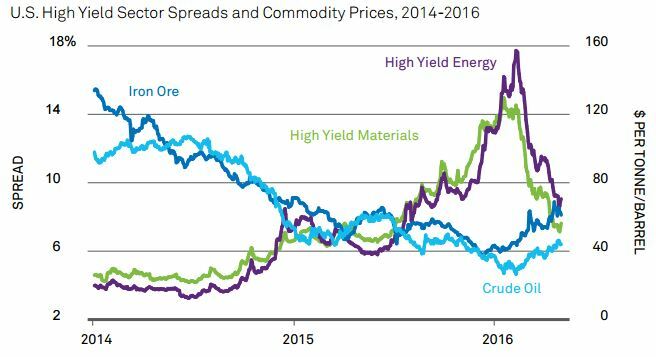 Should individuals wish to invest in the HY sector, then like most individuals in the US and Europe, invest in those specialist HY bond funds. 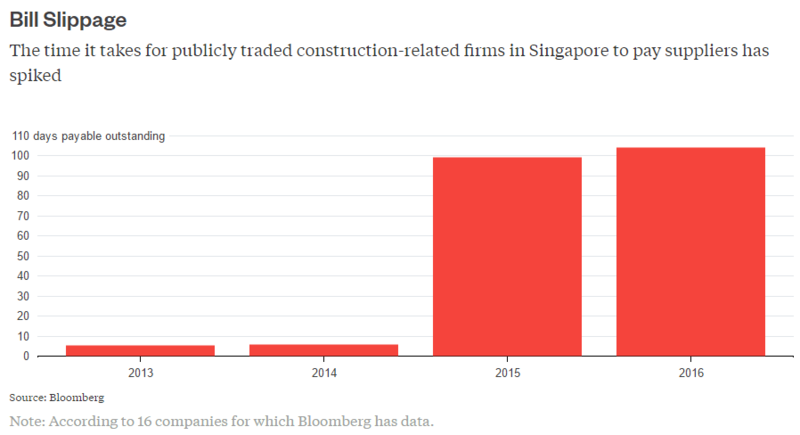 One can argue that there may not be any S$ denominated local HY bond fund to invest. If so, this is an indictment of the depth and diversity of the Singapore as a financial center. Individual investors getting torched by HY bonds are not uncommon in countries with excessively high savings ratio and an unhealthy fetish for interest bearing securities. Note: The bonds were sold at a minimum of $250,000 and to accredited investors. SINGAPORE - The Swiber Holdings bonds sold by DBS Bank to clients were rolled out to voracious demand, at a time when the company and oil prices were going strong. So DBS should not be singled out for scrutiny over bondholders' exposure to Swiber's demise, a bank spokesman noted, in response to claims that DBS and its staff may have pushed the Swiber bonds to clients who were little aware of the products' risk profile. Swiber this week defaulted on its semi-annual payment for its $150 million 001 Trust Certificates. A self-employed man, who wanted to be known only as Mr Jin, said he had invested $500,000 in two Swiber bond issues through DBS. "I was simply following the advice of my relationship manager, who never told me much about the company. I just thought, a bank in Singapore, with this much regulation, would not recommend risky investments," the 44-year-old said. DBS said the sale was driven by demand: "Many clients were reaching out to us and... private banks for yield instruments, given the very low interest rate environment." There are two outstanding vanilla Singdollar Swiber bonds: a $160 million issue in 2013, with an annual yield of 7.125 per cent, got orders of $240 million; and a $100 million issue in 2014, with a 5.55 per cent yield, had over $500 million worth of orders. The bonds were distributed by various banks here, including United Overseas Bank and OCBC. Market conditions were positive, and concerned investors had plenty of chances to exit, DBS added. "The two bonds were issued in 2013 and 2014, when oil prices were still above US$100 a barrel and Swiber stock was trading above $1." The Swiber bonds were available only to accredited investors - with net personal assets of more than $2 million - or those investing a minimum of $250,000. Mr Jin said: "I'm a new immigrant and could barely understand English. I just signed whatever papers the relationship manager gave me." Another investor, who asked to be known only as Laura, 34, and a banker, said: "My banker said DBS could lend me money to invest, so I'm 50 per cent leveraged on Swiber bonds. Now they've defaulted, I'm asked to pay the bank $250,000 by next Tuesday to cover the margin." The DBS spokesman said: "DBS does lend against all eligible and acceptable market securities, and investment leverage is offered to wealth customers based on prudent underwriting standards. This includes imposing criteria on the credit quality and duration of fixed income securities as well as requiring the underlying investments of each customer to be diversified." DBS relationship managers are rewarded based on a balanced scorecard, and there is no direct link between sales targets and remunerations, the spokesman added. SINGAPORE - One of my favourite quotes on investments comes from Sir John Templeton who once noted that bull markets are born on pessimism, grow on scepticism, mature on optimism and die on euphoria. This is what leads me to believe that given the moribund state of the stock market with overall daily turnover falling well below the $1 billion mark for many of the trading days in the past few weeks, there is little danger of share prices plunging for now since there are few signs of euphoria among traders. But then I may be hunting for irrational investment exuberance in the wrong market. There are, after all, various financial assets which an investor can pour his money into - and interest in one of them has turned red-hot. 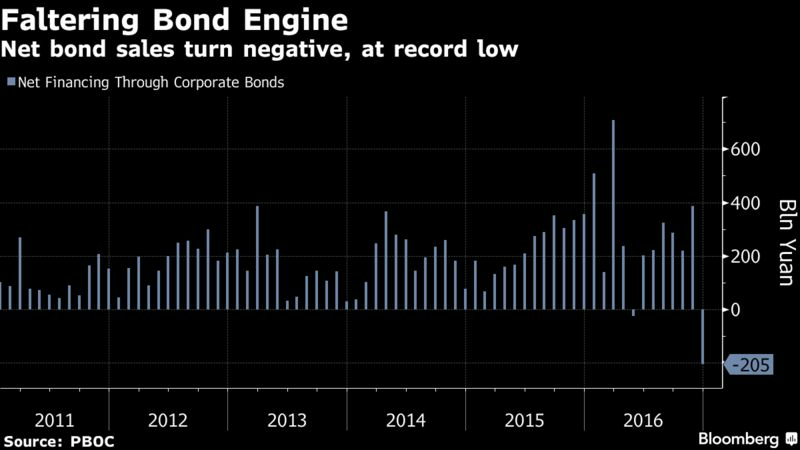 This is the local corporate bond market where yield-hungry investors have been happily snapping up one fresh issue after another. What is of interest, as I had noted in my recent Cai Jin column, is the strong revival in interest in a certain bond-like instrument known as perpetuals, or perps, for short. The attractive feature about a perp is that it comes with an attractive coupon payout - easily the highest payout which an investor can get in the market. Currently, coupons for perps are in the range of 4 per cent or more. The issuer also reserves the right to repay the principal to the perp investor, and in this context, the perp may literally mean a loan in perpetuity. The other feature about perps is that companies will only issue them to lock up the funds needed to run their business, despite the high interest costs, when liquidity is tightening - like now when the US central bank is beating the drum on the likelihood of further interest rates hikes ahead. Now, considering all the reservations raised about perps, I would have thought that investors should tread it with care. But if there is one market where exuberance has reached fever-pitch, it is the perp issuance market here. Earlier this week, there was a report that UK insurer Prudential plc had received orders of over US$12 billion when it launched its perp issue of US$1 billion here. The huge interest which Prudential drew to its perp issue simply highlights the large sums of money sitting idle in the local banking system looking for a better venue for investment. This is considering the big sums already spent by investors who snapped up other recent perp issues launched by the likes of United Overseas Bank, Mapletree Logistics Trust and Societe Generale. But the fact that perps are drawing investors in big numbers has made some market * worried. It is also perplexing to find foreign issuers jostling with local companies for funds in the local perp market. After I made a case for the need to have bonds rated in a separate column recently, I got an email from former investment banker Ng Lak Chuan expressing surprise that I did not examine the Hyflux perp issue in more detail in my write-up. While other perp issuers had confined their offerings to the wholesale market, whose target audience were fund managers, pension funds and wealthy individuals, Hyflux had gone one step further and opened up its perp offering to retail investors. While it had initially wanted to raise only $300 million from its perp issue, it managed to upsize its offering to $500 million, after getting an overwhelming response from the investing public. But Mr Ng was concerned that issues such as Hyflux's declining profitability and the high leverage on its balance sheet had not been given a proper airing. I also have concerns of a more general nature where the bond market is concerned. When interest rates go up, bond prices go down because investors demand a higher yield in order to continue holding the bonds. 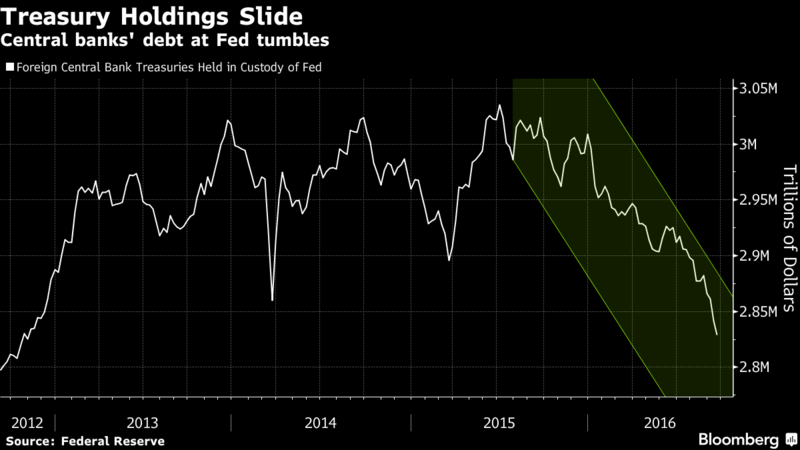 For bond investors, the biggest worry is the threat of rates hikes that may come from the United States and the collateral damage it may inflict on the debt market here. That is because any US interest rate hike may cause international investors to pull their money out of regional markets. To stop the funds from draining out of the region, and to address this problem, interest rates will have to jack up in order to lure them to continue to keep their money here. The US Fed can afford to raise interest rates in what it describes as a "normalisation" exercise - after depressing it for many years after the 2008 global financial crisis - because the US economy is humming along just fine with unemployment falling back to its pre-crisis low of 5 per cent. But Asean countries can ill-afford to do likewise and jack up interest rates because their economies have turned sluggish. If anything, they have to loosen their monetary policies in a big way and cut interest rates aggressively to stir up demand. But the threat of capital outflow by international investors destabilising their economies may leave them no choice at all. Asian bond markets had a foretaste of this massive outflow of foreign capital in late 2013 during the "taper tantrum" drama, when then Fed chairman Ben Bernanke first hinted at scaling back the then massive sums which the US central bank had been pouring into the financial market each month as part of its efforts to revive the US economy. Maybe, it is with this episode in mind that many companies are issuing perps to ensure that they are not caught short of capital just when it is needed most just in case there is a credit crunch. Of course, they may just be playing it safe. But there is no harm in making hay while the sun shines. SINGAPORE: Foreign demand for Asia’s local currency bonds was patchy in August, showing signs of reversal in some markets as investors worried whether global monetary easing will continue and about broadly rising long-term yields if it does not. Foreign investors further increased their holdings of markets such as Malaysia and other Southeast Asian countries, continuing to seek their high yields and promise of capital gains. Yet, the shifting in the global sentiment over the past few weeks has had an impact as concerns grew that top central banks may not have additional measures to support economies after a slew of unconventional steps like negative interest rates and money printing. Worries that the Bank of Japan (BoJ) may lead the way by forcing longer term yields up, and therefore steepening yield curves, also weighed on emerging market bonds. “The global steepening of bond yields has caused people to reconsider the carry trades that were being put on earlier,” said Mirza Baig, head of currency and rates research for emerging Asia at BNP Paribas here. 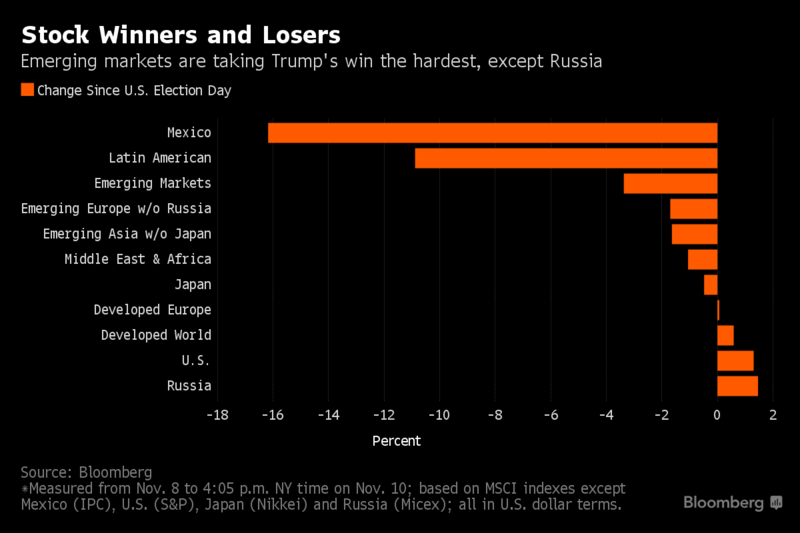 “We’ve had a very solid run for the last four months if you look at any measure of emerging market bond performance,” Baig said, adding that the selloff therefore appeared to be driven by profit-taking. 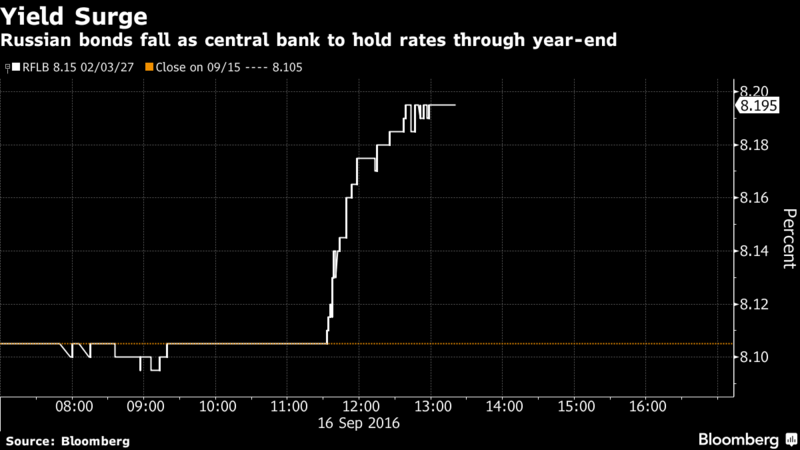 Most emerging Asian bonds have been slumping since the European Central Bank on Sept 8 provided few hints about future stimulus. The Federal Reserve is expected to hold interest rates this week, but the US central bank is likely to tighten this year. There is no consensus inside the BoJ on whether to deepen negative rates at the Sept 20-21 meeting, sources said. Malaysia’s five-year government bond yield rose to 3.285% yesterday, its highest since July 5. Saktiandi Supaat, Maybank’s head of FX research, said Malaysian bonds will see intermittent outflows although demand among long-term investors remains strong. “The inflows have been significant and domestic factors such as weak economic data and commodities cycle can play a role,” Singapore-based Saktiandi said. Malaysia was a hot spot in emerging Asia bond markets. Last month, it enjoyed RM6 billion of bond inflows, the largest since April. That came as US investment bank JPMorgan decided to include dollar-denominated Islamic bonds from Malaysia, Turkey and Indonesia in its emerging markets indices starting from Oct 31. Foreign holdings in Malaysian bonds and bills, excluding sukuk, stood around 55% of total outstanding in the second quarter, increasing risks of more profit-taking. The financial system is still too leveraged, from his point of view, given the vast amounts of interest-rate derivatives outstanding (roughly $700 trillion) at a time when rates are at "5,000-year lows." The extreme intervention of central banks directly into financial markets has pushed many bond rates to "zero or weirdly below," while creating "a tremendous increase in hidden risk," Singer said at CNBC/Institutional Investor's Delivering Alpha conference on Sept. 13. 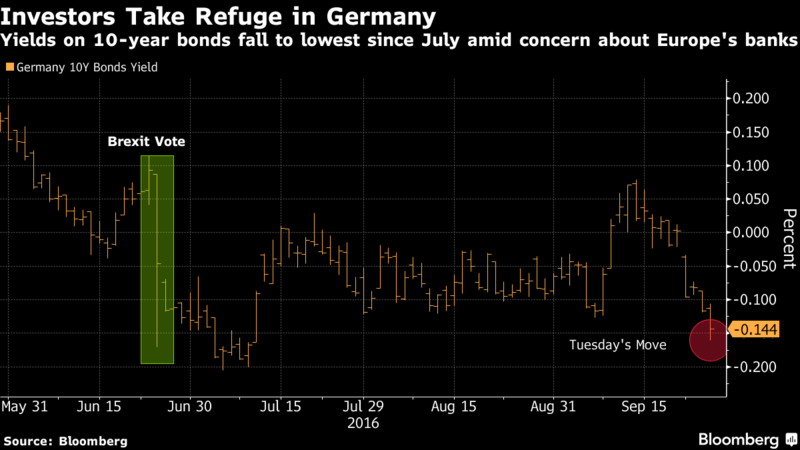 "The term 'safe haven' applied to G-7 bonds is just wrong," he said. "These are not safe havens. 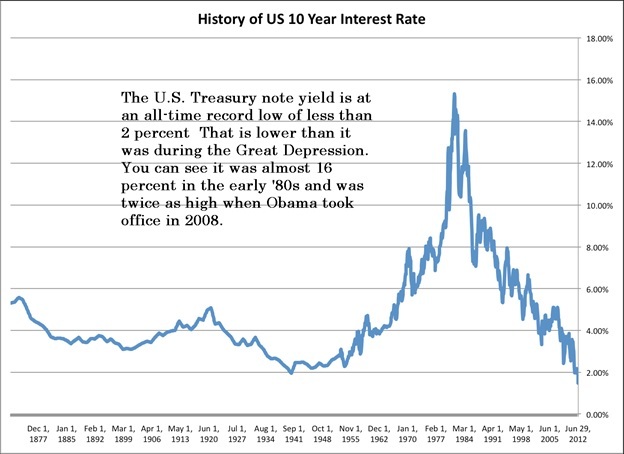 In fact, there's a tremendous amount of risk in owning 10- and 20- and 30-year bonds at these rates." He also cautioned that if bond and stock prices continue to fall simultaneously, as they have on occasion in recent weeks, that "not only would put quite a dent in a number of institutional portfolios." 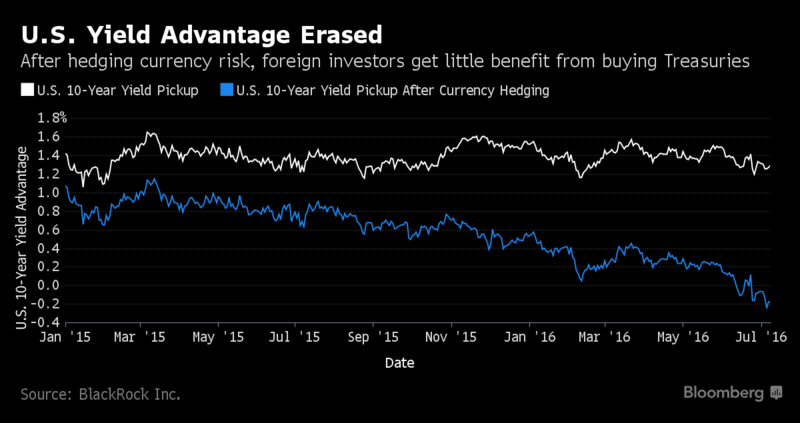 It also could hit leveraged strategies known as "risk parity" that are run by some major hedge funds. 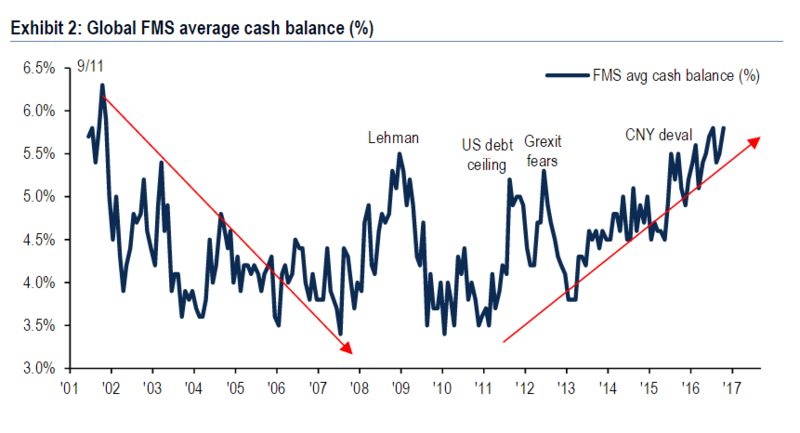 "If that is triggered, I think central banks are in a tough place. And I think governments are in a tough place," Singer said. Singer defended the intervention of the Federal Reserve and other central banks in the "immediate aftermath" of the 2008-09 financial crisis, saying "policy [then] was appropriate." But central bank policies since, from zero-percent rates to bond and equity-buying programs to talk of even "helicopter money … to fund infrastructure spending" have "been strongly growth-suppressive," Singer argued. "I think the incentives have been against normal [bank] lending, against entrepreneurship growth, and towards financial suppression," he said. Singer would prefer to see fiscal policies step up to stimulate growth in ways that monetary policy no longer can — even if that means explicit coordination between, say, the Fed and the White House or Congress. "Officials around the globe are not picking up the ball," he said. "A further result of all this is to exacerbate inequality and to create the conditions for social restiveness." "You can't just raise interest rates without doing something else," he said. "Do it simultaneous with tax, regulatory" and other structural pro-growth overhauls. "I think central bank independence is overrated," Singer said. "I'm not saying immediately start legislation to put central banks under the thumb of governments, because we know the danger of that. But … that's what they're planning to do anyway, meaning, printing money, debasing the currency." That debasement is why Singer expects that "at some point, perhaps soon … inflation may blow through these targets and surprise everyone." All of which is not to say he expects another severe market crash. "There will be no credit collapse, in my view," he added, expecting that policymakers would ultimately ward off something like that. "But there are plenty of historical episodes where inflation, serious inflation, coexists with poor economic conditions." "Sell your 30-year bonds," he warned the audience. "Sell long-term bonds is my outright recommendation." Two Malaysian banks have reported tougher operating conditions in Singapore. CIMB and Maybank, both of which released half-year results in the past week, said the challenging economic environment has weighed on their operations here. Allowance for impairment losses on loans, advances, financing and other debts in the 2Q16 increased by threefold to RM981.7m. The increase in the 2Q16 impairments was mainly due to higher net individual allowance made of RM268.4m and collective allowance made of RM387.2m. Who’s next in line to fall after Swiber Holdings Limited? Yesterday, Swiber Holdings Limited (SGX: BGK) surprised the market by choosing to wind its business up. The company’s decision to essentially kill its own business raises an interesting question that many investors likely would want answers to: Which oil & gas company may be next to fall? It’s hard to say. After all, Swiber’s decision caught many by surprise, me included. But it’s also worth noting that shareholders of a company can get hurt badly even if it does not go bankrupt or has to wind itself down. So, it’s still worth thinking about the companies with very shaky finances. A negative operating cash flow over the last 12 months. Companies that show up in my screen would be those that have a really weak balance sheet as well as an inability to generate cash. In a challenging business environment (which is an understatement for the situation that oil & gas companies are finding themselves in), these two characteristics can be a really toxic combination. 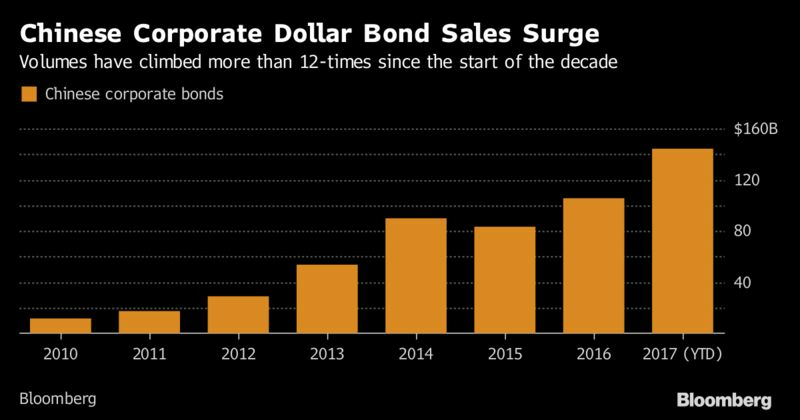 The corporate bond market is really starting to heat up. After a tense week of central bank decisions passed relatively smoothly, companies look set to take advantage of the boost provided by the European Central Bank’s bond buying programme, and the Bank of England’s equivalent, which kicks off tomorrow. 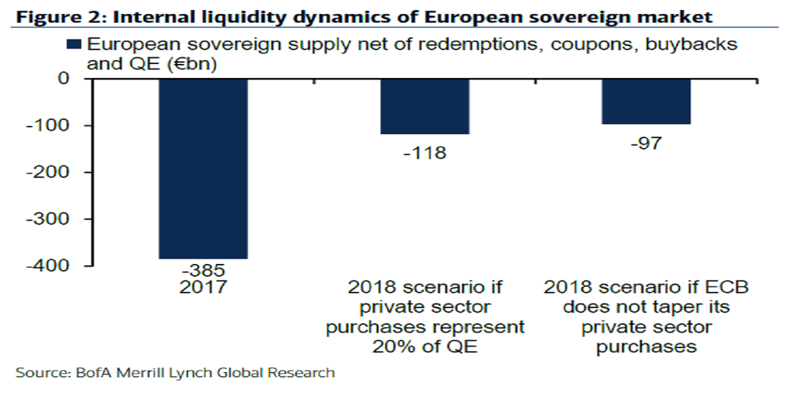 As Barnaby Martin at Bank of America Merrill Lynch points out, global central banks are pumping out the stimulus at a record clip. There has been a surge in issuance in both the euro and sterling markets over the last few months, and this is set to continue, if not accelerate this week. The pipeline in IG non-financials is fairly rammed and we look for up to €10bn of issuance in the week. There’s little in the way to stop us. Sterling issuance so far this month is well beyond £3bn, the highest tally for any calendar month in two years, and is likely to push even higher as the BoE kicks off its programme tomorrow. The mere announcement of the programme has reinvigorated the market, with a flurry of large deals, including £3bn from National Grid, and £1.8bn in the space of a week from Vodafone. Average yields have already hit record lows in the euro and sterling markets this month, touching 0.57 per cent and 2.06 per cent respectively. Inflated orders make the deal look like a winner, so the pricing is squeezed some more. A vicious circle, indeed. Thus the initial price guidance that banks come out with for new deals ought to be taken with a more than a pinch of salt where 15-20bp of a repricing tighter has become the norm. Venezuela may not be a fun place to live at the moment, what with the high levels of violence, inflation and general social disintegration. Its external bonds, though, continue to provide a wide variety of speculative opportunities for the cool-headed international investor. The question of the moment among Venezuelan bond investors is whether the $31bn of outstanding bonds issued by PDVSA, the national oil company, are intrinsically worth a lot, even after a restructuring, or intrinsically worth nothing at all. Active emerging market investors seem to be split almost evenly on the matter, though PDVSA bonds have been bid up rapidly over the past few weeks. The “worth a lot” group points to Venezuela’s need to maintain its oil exports. These are all channelled through PDVSA’s oil production, gathering, processing and exporting system. The oil company also has a 50.1 per cent interest in the huge Citgo refinery on the US gulf coast. 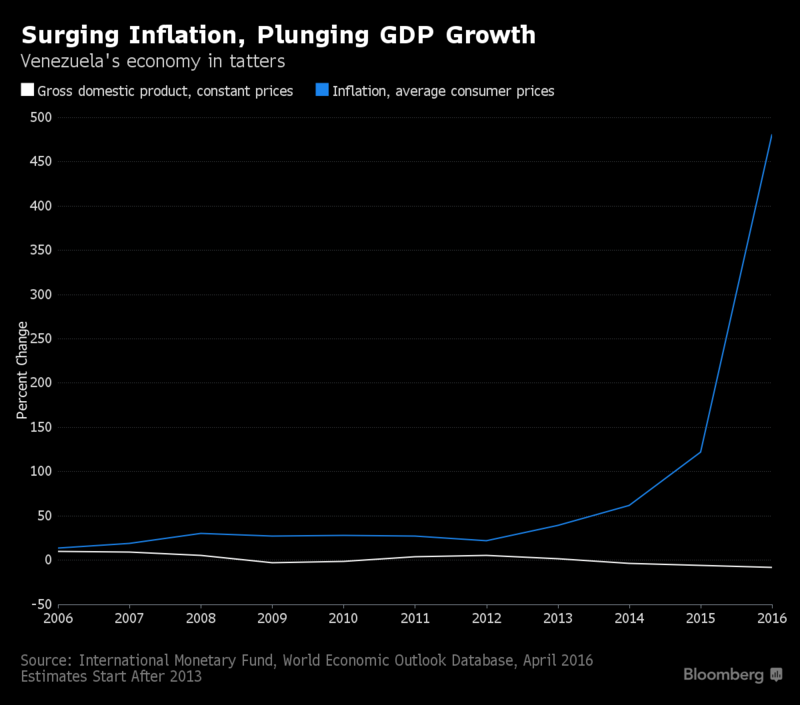 The optimists believe PDVSA’s credit is better than that of the country, what with owning all those real assets. The “worth nothing” faction points out that the state-owned oil company does not actually own Venezuela’s 300bn barrels of oil reserves. Those are owned by the republic itself, which has granted a revocable concession to PDVSA, really just another Venezuelan company. The oil changes owner in the export terminals, where title is taken by the foreign importer. The PDVSA ships may be owned by a group of banks and shell companies. If the oil company defaults, bondholders may have nothing at all to seize. They could, arguably, proceed against the company in a Venezuelan bankruptcy court, but such a course of action might be somewhat uncertain in the best of times, let alone after any default in the near term. And the oil concession could just be cancelled by whatever government is in power. The Venezuelan government has, so far, appeared to support the “worth a lot” case, as it has continued to pay PDVSA and republic bondholders while children go hungry and hospitals go without supplies. A PDVSA bond maturing in October was being bid for at 96 cents on the dollar this past week, in addition to what should be another couple of points of accrued interest payments. The November 2017 bond, which has a principal payment due in November of this year, is going for a touch over 80 cents, which implies a yield to par of about 56 per cent, better than most savings accounts. The October bond will almost certainly be paid out of PDVSA’s remaining cash, or, if necessary, the country’s gold reserves. PDVSA has just made a shadily documented exchange offer for its $7bn of remaining bond maturities in 2016 and 2017, which would stretch out the maturities until 2020. The only real incentive for foreigners to accept the exchange is a pledge of PDVSA’s equity share in that Citgo refinery. 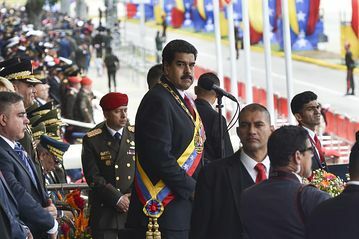 Since PDVSA has already borrowed $2.8bn against the refinery and upstreamed the cash to the parent company, the government and well-connected people along the way, and since any creditor trying to seize the refinery after a default would have to deal with another $5bn or so of easily accelerated existing debt, that pledge is not worth much. There are other problems facing the would-be litigious PDVSA bondholder. Assuming that company’s bonds are equal in rank to those issued in the name of the republic (another $30bn or so), there is a large, non-transparent debt to China of around $30bn-$50bn, which now takes its payments in oil shipments. Think China will let New York vulture funds collect ahead of them? And as a longtime sovereign debt lawyer says: “There is no doubt that if a civilised regime were to take over the country, there would be a lot of support for [the new government].” That means that the G7 governments, as well as China and the International Monetary Fund, would guarantee new financing for food, reconstructing the oil industry, recapitalising the economy, medicine and so on. Private sector bondholders will be legally subordinated to these lenders. A US bankruptcy judge would be unlikely to enforce a private bondholder’s claim while there were hungry children on YouTube. That is more or less what happened to the former creditors of the Saddam regime in Iraq: hair cut, and crammed down by the UN. So I am closer to the “worth nothing” school for PDVSA. At a major Communist party meeting in October 2014 known as the Fourth Plenum, leaders pledged to strengthen “socialist rule of law”, including steps to lessen political interference in court cases. 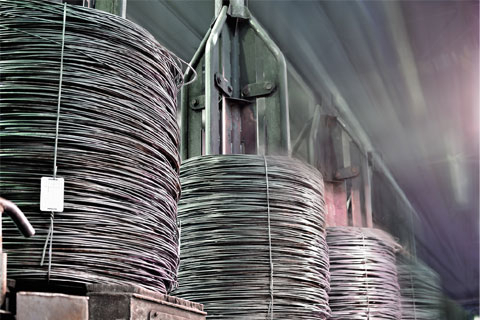 Now bankruptcy courts have been recruited into China’s drive for “supply-side reform”, which centres on reduction of overcapacity in sectors such as steel, coal and cement. But there are concerns that the bankruptcy law will allow some zombie companies to continue operating. In guidance to lower courts, the supreme court has said they should, where possible, use mergers or restructuring rather than liquidation, in order to allow a company to emerge from bankruptcy as a going concern. This month the court provided several case studies of successful bankruptcies, all of which kept companies in business. “We shouldn’t promote simple slogans like ‘use more restructuring and less liquidation’. That’s not really accurate,” said Li Shuguang, professor at the China-EU School of Law at China University of Political Science and Law. Experts say most legal bankruptcies involve small or medium-sized enterprises where the social impact is limited. Liquidation-style bankruptcies also far outweigh restructurings in terms of absolute numbers. But courts face strong incentives to keep larger enterprises operating. In general, bankruptcy offers greater protection to borrowers compared with dealing with creditors out of court. Without bankruptcy, a single creditor can block a proposed debt restructuring or writedown, even if most others agree. By contrast, judges have the authority to override holdouts and impose a settlement on all parties. “Once a court accepts a bankruptcy petition, creditors’ sealing off an office or seizing collateral is immediately halted, so it allows a company to return to production,” said Mr Li. The 7% to 9% coupon may look interesting, but it has to be considered within the context of rupee risks. If the rupee depreciates, your return will be eroded. The next interest payment date to note holders falls on October 16. Swissco did not make clear whether it had sufficient finances to make the schedule payment for the notes should a restructuring not occur. KUALA LUMPUR, Oct 10 — Foreign ownership of Malaysian government bonds dropped in September for the first time in 12 months, with the outflows likely to have been triggered largely by debt maturities. Overseas holdings decreased 0.4 per cent to RM213 billion, after climbing to a record in August, according to central bank data released in Kuala Lumpur today. Sovereign notes worth RM19.7 billion matured last month, according to Maybank Investment Bank Bhd. Malaysian government bonds have rallied over the past year, benefiting from a global yield hunt in an environment where almost US$12 trillion (RM50 trillion) of investment-grade debt offers sub-zero yields. The yield on Malaysia’s benchmark five-year notes has retreated 42 basis points in the past 12 months and reached the lowest level since May 2013 last month. 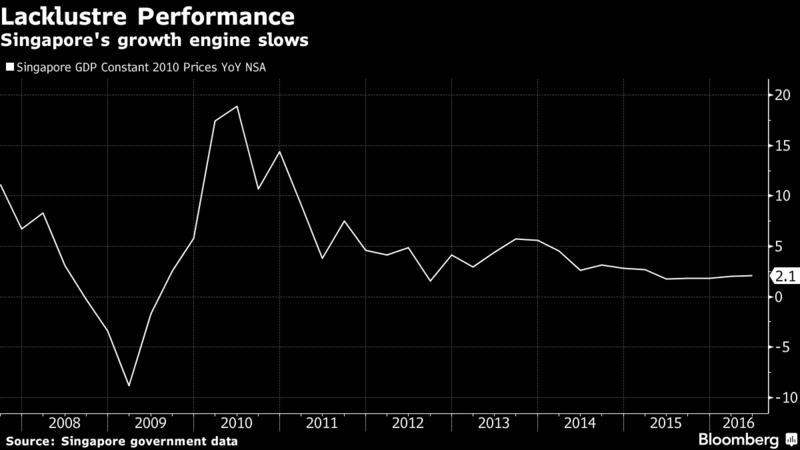 “The decline in foreign holdings is primarily maturity-driven,” said Winson Phoon, a fixed-income analyst at Maybank Investment Bank in Kuala Lumpur. The outlook is neutral “with a cautious tone for foreign demand” due to external uncertainties such as the US presidential election, talk of tapering of asset purchases by the European Central Bank and a potential Federal Reserve interest-rate increase, he said. Foreign ownership of Malaysian sovereign and corporate bonds and bills dropped 0.6 per cent to RM245.5 billion in September, the first decline in four months, according to central bank data. PETALING JAYA: Foreign ownership of Malaysian Government bonds which shrank in September, the first time in 12 months, could see capital outflows continuing in anticipation of a cut in the overnight policy rate (OPR) and a hike in Federal Reserve (Fed) rate after a record high in foreign holdings in August. Fixed income analysts contacted by StarBiz said there could be outflows until a clearer picture emerges on whether there could be an OPR hike next month or Fed rate hike by year-end. Areca Capital Sdn Bhd chief investment officer for fixed income Edward Iskandar Toh said: “I do expect some repatriation of capital from foreigners with the US dollar gaining strength and a strong likelihood of a US rate hike by year-end, as well as the risk-off mode to surface again. “Mitigating this could be the return of the correlation of rising oil prices and the value of the ringgit as well as foreign inflows, which for now have been abandoned. “I guess we will see a stronger return of foreign funds if there is less focus on 1Malaysia Development Bhd, post-US rate hike and a realisation of a subdued global growth supported by extremely easy global monetary policies,” he added. The ringgit closed at 4.2125 per dollar yesterday. Bloomberg yesterday reported that foreign ownership of Malaysian Government bonds dropped in September for the first time in 12 months, with the outflows likely to have been triggered largely by debt maturities. Overseas holdings decreased 2.6% to RM208.3bil (US$49.6bil), after climbing to a record in August, the wire agency said quoting the central bank data released yesterday. Sovereign notes worth RM9.7bil matured last month, according to Maybank Investment Bank Bhd (Maybank IB). It cited Maybank IB fixed-income analyst Winson Phoon as saying that the decline in foreign holdings was primarily maturity-driven. Phoon noted that the outlook was neutral “with a cautious tone for foreign demand” due to external uncertainties such as the United States presidential election, talk of the tapering of asset purchases by the European Central Bank and a potential Fed interest rate increase. Foreign ownership of Malaysian sovereign and corporate bonds and bills dropped 3.4% to RM238.5bil in September, the first decline in four months, according to central bank data quoted by Bloomberg. Meanwhile, RAM Ratings head of research and economist Kristina Fong said capital flow volatility is expected to continue for the rest of the year, as market expectations build up towards a possible OPR cut by Bank Negara in November on the back of expectations for a softer growth momentum going forward, as well as the prospect of at least one policy rate hike by the Fed towards year-end. “Our projected issuance for both Government and corporate issuance remains at RM90bil-RM100bil and RM75bil-RM85bil, respectively,” she noted. Fong said foreign-held Malaysian Government Securities (MGS) declined for the first time in 12 months to RM181.4bil (-3% month-on-month), which could partly be due to the large amount of maturing MGS during the month totalling RM12.8bil. 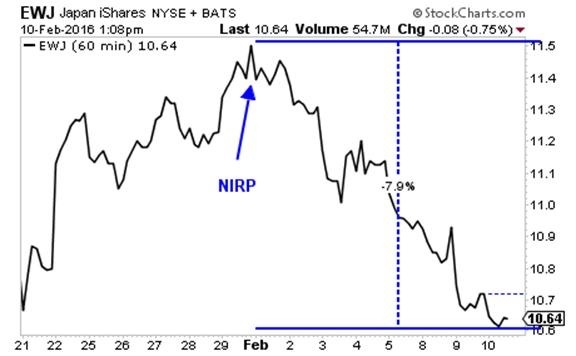 “But the decline for other types of securities (the shorter-term ones) could possibly be due to the build-up in market expectations towards a possible OPR cut amid fears of continued weakness in economic activity. Troubled oil and gas services company Swissco announced it will default on its interest payment to noteholders on Oct 16 and will suspend trading with immediate effect. While Swissco will not be able to pay the interest due to noteholders, it expects to be able to continue operations using its cash, revenue and possible asset disposals. The noteholders have been invited to form an informal steering committee to work out a mutually agreeable restructuring plan, with the next informal meeting held in four weeks’ time. The company and its appointed debt-restructuring agent EY had held an informal meeting with noteholders on Monday. In a separate filing, Swissco also announced disputes the company is currently involved in. The company is proceeding with arbitration claims against Tyloo Investment Group and Tyloo Offshore for US$26.1 million ($36 million) for outstanding charter claims. Swissco has started with arbitration claims against Nanjing East Star Shipbuilding and Jiangsu Skyrun Shipbuilding and Trading for US$5.2 million for a refund of the first and second installments, following the termination of shipbuilding contracts for substantial delay in completion and delivery. Swissco has also been informed that legal proceedings in the US by X-Drill Holdings against the company for US$1.6 million have begun. The company says it had responded on Oct 5 to a letter and a statutory demand issued by X-Drill’s Singapore solicitors. The alleged amount are for service contracts entered into with Swissco’s Hong Kong incorporated companies, which the company views as baseless and without merit. The company argues that it is not a party or corporate guarantor to the contracts and not liable for any amount and intends to “vigourously” oppose X-Drill’s claim. Swissco has promised to provide updates when appropriate. 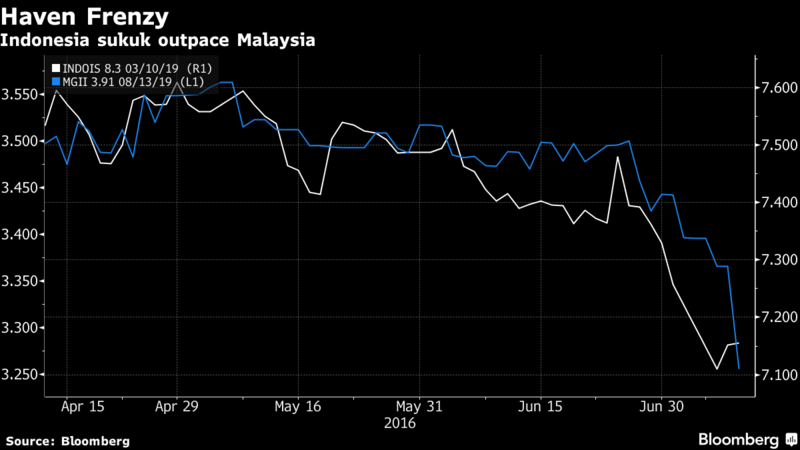 Shares of Swissco were trading at 5.3 cents before the trading halt. The carnage in the bond market has been confined to well-heeled investors up to now, even though the sums involved would almost certainly exceed the $520 million of toxic Lehman minibonds sold to the public eight years ago. Some market * believe the fact that this financial catastrophe hasn't maimed a much bigger group of investors, as the Lehman debacle did, can be pinned down to pure luck. Most bonds issued by companies are sold on the wholesale market, which is operated by a network of bank dealers, because they face less stringent requirements. Firms can issue a short information memo, for example, rather than a full-blown prospectus outlining their business. This has kept the bonds out of the reach of retail investors because buying even one lot could set you back by up to $250,000. So when marine services firm Swiber collapsed under a mountain of debt three months ago, the fallout hurt mostly "accredited" investors - people whose personal assets exceed $2 million or whose income in the preceding 12 months was $300,000 or more. To some, the timing of this calamity was fortuitous in a way because it might have prevented other financial catastrophes that could have ensnared retail investors as well. How is that possible, given the obstacles, such as the huge capital outlay, an investor must overcome before he gets access to the wholesale market? The answer lies with an initiative taken by the Singapore Exchange (SGX) in May, after years of deliberation, to give companies the option of opening their bond issues to retail investors. Under the so-called bond seasoning framework, a company can offer new bonds to retail investors on the same terms offered to original buyers on the wholesale market after the bonds have been listed for at least six months. The sweetener for retail investors is that their outlay can be as little as $1,000, instead of the $250,000 forked out by investors in the wholesale bond market. Companies, of course, get to raise even more money by issuing new bonds - but without the hassle of producing a full-blown prospectus, which is one reason they turn to the wholesale bond market in the first place. It is just as well that Swiber failed shortly after the bond framework was launched, but the episode has soured the appetite for high-yield corporate bonds. It must not have recorded a net loss and must have a positive net operating cash flow for the three most recent audited annual financial statements, or it must have a credit rating of BBB or higher, or it must have listed at least $500 million worth of bonds in the previous five years. As criteria go, the first two tests will ensure that only fairly large listed firms, worth $1 billion or more, are able to issue the same kind of bonds to retail investors that they sold earlier on the wholesale market. While a company's size is no guarantee of the quality of its bonds, this criterion will at least filter out the small and risky bond issuers whose debts are likely to be thinly traded. It is the third test that worries some analysts. Requiring a company to either register a positive cash flow or have an investment-grade credit rating of at least BBB in order to qualify is prudent. But if a company fails to meet either of these criteria, is it still okay to let the firm go ahead to "re-tap" retail investors for more funds if the firm has listed at least $500 million worth of bonds in the previous five years? Some will argue that raising so much money selling bonds does not necessarily make a company a safer bond issuer. To them, Swiber makes a good example. As recently as three years ago, it had a market capitalisation of over $1 billion. It had also been a very active seller of bonds on the wholesale market, with 20 issues under its belt. When it defaulted, bond holders were left with $551 million worth of worthless debts. This leaves us to wonder whether it would have tried to use SGX's bond seasoning framework to raise money from retail investors if that mechanism had been available three years ago. One obvious tweak to SGX's bond seasoning framework would be to remove the criterion that allows a company to re-tap the market for funds simply because it has issued at least $500 million of bonds in the previous five years, even if it has a market capitalisation of $1 billion or more. Another obvious recommendation would be to make it compulsory for any company wanting to re-tap retail investors for funds to have a credit rating on the bonds - just to provide an additional safeguard. One question often raised about retail investors is whether they even bother to look beyond the headline-grabbing yield offered by a bond before hitting the ATMs with their applications. If a bond has a credit rating, this would at least ensure that retail investors can tell at a glance what sorts of risks they are taking, even if they do not take the trouble to study the financials of the bond issuer. Given the low interest rates, retail investors sometimes take extraordinary risks to earn a higher return without realising the dangers they could be facing. To its credit, SGX tries to mitigate the hazards by proposing a string of tests to try to protect their interests, before allowing new type of investments such as the bonds now traded on the wholesale market to be made available to them. But, sometimes, Murphy's Law gets in the way - anything that can go wrong will go wrong. In that sense, we are lucky that SGX's bond seasoning framework hadn't been utilised yet when Swiber collapsed. Issuers will be able to sell to retail investors without issuing a prospectus. The Monetary Authority of Singapore (MAS) and the Singapore Exchange (SGX) have separately released consultation papers on a new framework that will make it easier for retail investors to buy bonds. The SGX’s consultation paper is regarding a proposed bond seasoning framework, under which retail investors will be able to purchase bonds initially offered by eligible issuers to institutional and accredited investors, after these bonds have been listed for six months, also known as seasoned bonds. 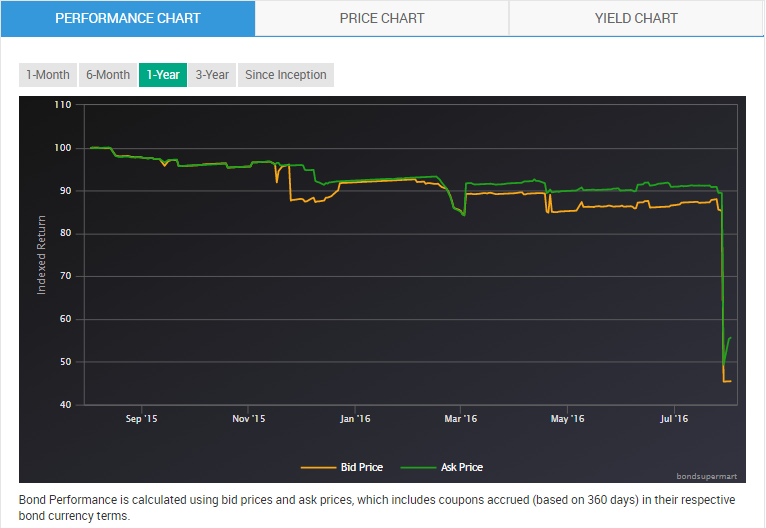 According to SGX, “First, retail investors can purchase SGX-listed wholesale bonds initially denominated in S$200,000 or above in smaller lot size six months after their listing (“seasoned bonds”). Second, SGX proposes to allow issuers to make subsequent offers of new bonds on the same terms as the seasoned bonds to retail investors directly. Eligible issuers will be able to offer bonds more efficiently to retail investors through this framework. “MAS has identified areas in its regulatory regime that could be streamlined to make it easier for corporates to offer bonds to retail investors while maintaining sufficient safeguards. Currently, any offer of securities to retail investors must be accompanied by a prospectus registered by MAS. MAS proposes to refine the current prospectus requirements for offers of plain vanilla bonds made by issuers who meet specified eligibility criteria,” noted the MAS. The decision by a fish distributor listed in Singapore to abandon local court proceedings and seek United States bankruptcy protection shows the hurdles the Asian nation faces in its bid to become a global debt restructuring hub. Pacific Andes Resources Development, which defaulted on a $200 million note in January, filed last month in the US for protection against action by creditors. It did so after certain lenders filed to wind up the firm and its subsidiaries in Bermuda and the British V-irgin Islands. That followed a Singapore court's decision to offer a moratorium preventing creditors from enforcing claims on assets only in the nation, but not elsewhere. Singapore is positioning itself as a fundraising hub for Asia and its ambitions include grabbing a share of debt workouts as defaults rise globally. Senior Minister of State for Finance and Law Indranee Rajah said in July that Singapore should be a global restructuring centre similar to New York and London, not just a venue for local reorganisations. But as slowing economic growth leads to a larger number of delinquencies, the use of US bankruptcy protection is spreading. "Singapore faces competition in its ambitions to be a restructuring hub, given the US courts' entrenched position," said Mr Damien Whitehead, a partner at law firm White & Case. "The reason why Chapter 11 is very appealing is that it has a worldwide moratorium that puts the shutters down on any enforcement by any creditor worldwide." Singapore is "already an established centre for regional restructurings" and filing bankruptcy proceedings in the US can complement work coordinated out of the city, the Ministry of Law said in an e-mailed response to questions. It said a committee recognised that more could be done, including allowing local courts to grant "a moratorium with in personam worldwide effect to creditors within Singapore's jurisdiction, and to extend such moratoriums to related entities of a debtor". The Government in July broadly approved those recommendations and will propose legal amendments later this year, the ministry said. The need for an improved restructuring framework is increasing after four defaults in the past 12 months. The amount of local bonds issuers must repay will jump to $3.3 billion in the first quarter of next year and $3.6 billion in the second quarter, up from $1.9 billion in the current period, according to data compiled by Bloomberg. Singapore's economy contracted by an annualised 4.1 per cent during the third quarter from the previous three months, the Trade Ministry said in a report yesterday. Ms Jessie Ng, executive chairman of Pacific Andes, said in an e-mailed statement last week that banks' appointment of liquidators and wind-up orders left the company with no realistic option but to file for Chapter 11 protection. She added that bond holders will be part of a consensual and global restructuring process. Alvarez & Marsal Asia said that for Singapore to become a restructuring hub, it needs to ensure that companies have protection from creditors in other jurisdictions. The Chapter 11 process leaves the company in charge of the business "to a large extent", said Mr Thomas Dillenseger, a Hong Kong-based senior director at the restructuring firm. He said local creditors less familiar with the Chapter 11 process than US counterparts risk losing out. 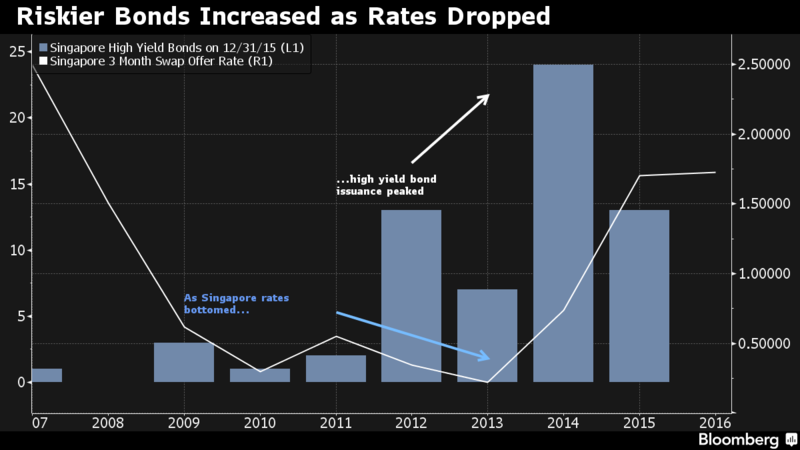 Bond holders in Singapore have also cited costs and familiarity as challenges. "Should the law be changed in Singapore to enable companies to take advantage of the worldwide effect of Chapter 11-like moratorium provisions, they won't need to go to the US," said Mr Nick Gronow of FTI Consulting, a restructuring firm. "That would be a game changer in the world of restructuring." Singapore - What culminated in Swissco Holdings' call on Monday to suspend interest payment for a S$100 million note issue could be the huge cash drain resulting from the idling of four jack-ups that were supposed to be on contract off Mexico, industry observers said. Cash flow problems at the offshore and marine player are said to have been compounded by the default on the charters for this quartet of jack-ups owned under a joint venture. The Business Times understands that the four jack-ups went on contract through an intermediary with a Mexican state-owned oil company. The intermediary was said to have suspended payments to Swissco after the end-client stopped footing the bill. Trouble has been brewing for Swissco's jack-up business for over a year now since the 2014 oil price collapse. Back in May 2015, a Malaysian business newspaper identified Swissco and its jack-up joint venture partner Ezion Holdings as being at risk as state-owned Mexican oil company Pemex cancelled orders. Pareto Securities Pte Ltd chief executive David Palmer told The Business Times: "Pemex has terminated several rig contracts and suspended a number of leases with shallow-water jack-ups affected the most." He would not be drawn to discuss Swissco's cash flow problems but added that while Pemex may look at "renegotiating contracts where it has the right to do so … the prospects for new work are dim to non-existent". One equity analyst who does not wish to be named flagged "fresh debt of US$40 million" from a new liftboat which Swissco recently took delivery of. This new liftboat has not secured any work and added to the cash burn that comes with the low utilisation of Swissco's fleet of offshore support vessels, the analyst said. Swissco acknowledged in an email to BT that one of its JVs has gone awry, but said this is in relation to arbitration proceedings pursued by its 50-per-cent-owned Star Excellence (HK) Ltd for an accommodation jack-up, not the JV with Ezion. The O&M player did not comment on the issues with the Mexican jack-up charters. Star Excellence is claiming US$26.1 million against charterers Tyloo for outstanding charter hire amounts, the company said in an Oct 12 SGX filing. Swissco also said an informal steering committee that was formed for bondholders is "to work closely with the company and (adviser) Ernest & Young to develop a mutually agreeable restructuring plan with all stakeholders". "The company expects to be able to fund its current operations from its cash, revenue from existing businesses and possible asset disposals," it added. Swissco's management acknowledged on Monday to noteholders that the firm would not be able to pay out a S$2.85 million coupon due soon this month. Swissco had reportedly blamed the "Swiber effect" for the failed negotiations on the OSV deal. The two entities are intricately linked. Swiber, previously named Swissco Berjaya, has been a long-time associate of Swissco. The latter broke away as an independent entity after going for a public listing on the Singapore bourse in 2006. Even so, Swissco had pared its shareholding in Swiber through the past 10 years to just 1.36 per cent as at March 14, 2016. Swissco's management had also undergone a major reshuffling. Mr Tan moved in to his current office after Alex Yeo stepped down as chief executive. Mr Tan and his family control the largest stake in Swissco. Shares in Swissco last traded at S$0.052 on Monday the start of a trading halt. Trading is now suspended at the request of the company. Trouble has been brewing for Swissco's jack-up business for over a year now since the 2014 oil price collapse. [SINGAPORE] Bonds of 1Malaysia Development Bhd have surged despite broadening investigations into the state investment fund's activities, as investors bet on the strength of its backers. International Petroleum Investment, Abu Dhabi's sovereign wealth fund, paid the coupon on 1MDB's US$1.75 billion of October 2022 notes as the debt's co-guarantor, days after a default in April. JPMorgan Chase & Co said the debt could rally further to bring its yield premium closer to that of IPIC. Actively traded 1MDB bonds had an extra yield of 220 basis points more than US Treasuries on Oct 14, compared with 101 for IPIC. 1MDB's notes have jumped 18 per cent from their low in late-April, paying off for investors willing to keep tabs on an organisation mired in international investigations into alleged corruption and money laundering. The next test for the bulls will be on Oct 18, when the next semi-annual coupon for October 2022 bonds comes due. While it is paying interest for now, IPIC is still seeking US$6.5 billion from 1MDB and the Malaysian government for an alleged breach of contract related to a May 2015 deal, a claim that's in arbitration. 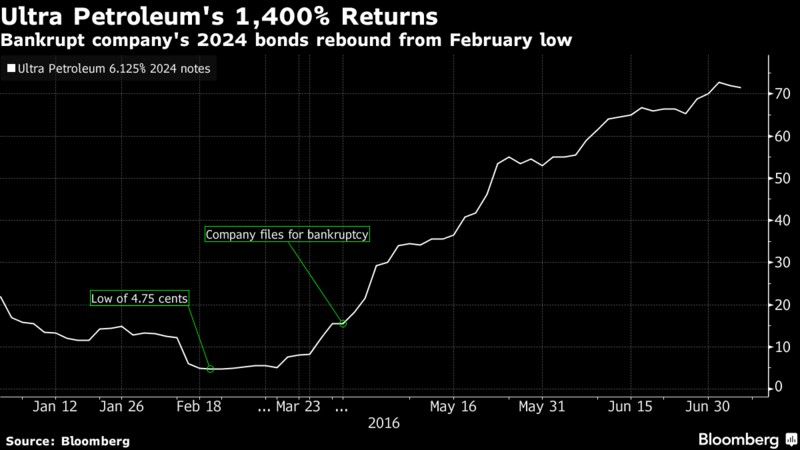 "The debt probably rallied because of trading on the strength of the guarantee," James Lau, a Kuala Lumpur-based investment director at Pheim Asset Management, said by phone Thursday. With the ongoing disputes, investigations and plans to wind down the state fund, there is still risk on the long term over "whether the debt will be repaid," he said. The 1MDB scandal has helped weaken Malaysia's ringgit by 22 per cent over the past two years amid the nation's weakest economic growth since a contraction in 2009. Fitch Ratings said in May there is an increasing likelihood that 1MDB's debt will affect the sovereign's balance sheet. Singapore's monetary authority last week fined DBS Group Holdings, UBS Group AG and Falcon Private Bank's branch for breaches in anti-money laundering rules. Political opponents have criticized Malaysian Prime Minister Najib Razak, who led 1MDB's advisory board until the end of May. The premier and the state fund have denied any wrongdoing. 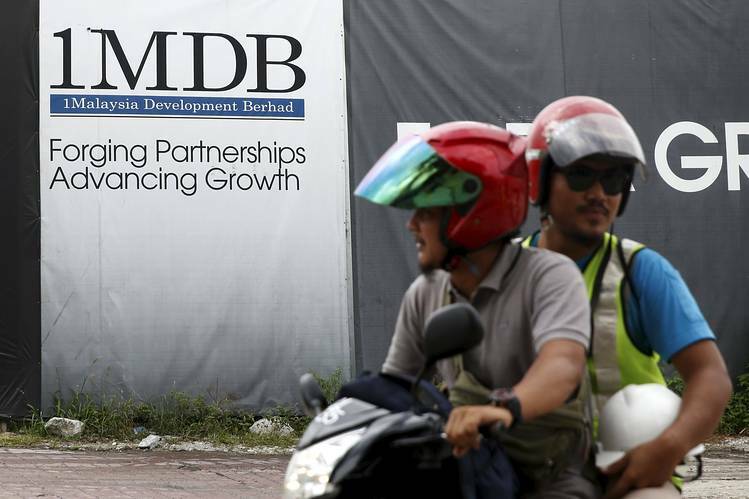 1MDB, based in Kuala Lumpur, declined to comment about the next coupon payment or the status of its arbitration. It said in July it would continue to implement rationalisation plans and remains able to honour its current obligations. An IPIC representative didn't reply to an e-mail seeking comment. With the pending court arbitration, global investigations and "hide-and-seek" over coupon payments, the worst isn't over for 1MDB, according to Julian Jacobson, a money manager in London at WRM Capinvest. "I'm still ahead of the game and not getting back in," said Mr Jacobson, who said he sold 1MDB's March 2023 notes in April at a profit. "Sure the deafening noise doesn't seem to affect the bond price, but I'm fed up of checking all the Malaysian blogs first thing in the morning to find out what new revelations are out there." Buying 1MDB notes has been profitable for Chresten Hagelund, a money manager in Copenhagen at BI Asset Management, who added the May 2022 securities in August. The escalation in the IPIC-1MDB dispute led the Middle Eastern fund to recognise the liabilities on its 2015 annual report, published in June. IPIC made two interest payments on 1MDB-related bonds totaling US$103 million in the first half of 2016, Chairman Mansour bin Zayed Al Nahyan wrote in the report. The payments have been reflected in its financial statement by recording a corresponding receivable balance because IPIC is confident of its claim, he wrote. 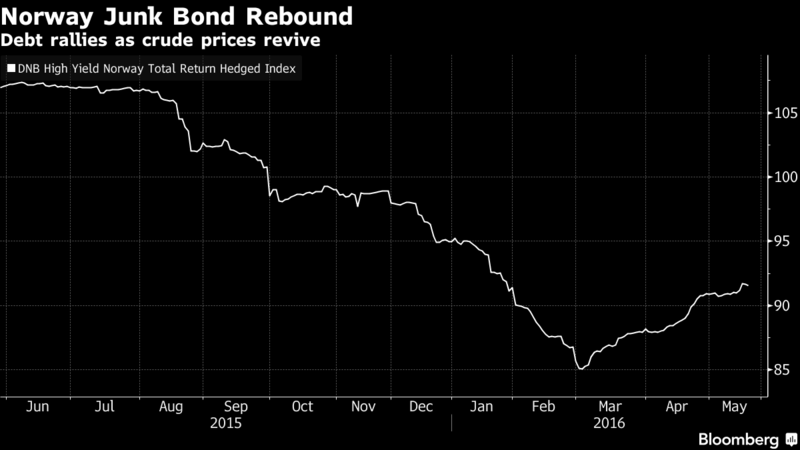 "We like this bond given IPIC has publicly acknowledged the guarantee," Mr Hagelund said. "We only bought into it after IPIC changed its treatment from off-balance sheet to on-balance sheet." The first phase of the expected big correction in US Bonds has occurred. China is the main driver behind the plummeting of US Treasuries - a move which is expected to continue. The most important long-term resistance of 10-Year Treasury yields is around 2.2%. Government Bond Yields continue moving higher all around the World but the biggest increase took place in the US. Investors now expect 1 to 2 Fed rate increases until the end of 2017 as well as a 50 basis point increase in the US Libor during the same period. In this environment, you should favor floating rate notes, inflation linked bonds and corporate debt and avoid fixed interest rate Treasuries. Cash is also a valid option. WHEN the global price of oil increases, the ringgit usually strengthens in tandem. For example, when oil was at US$50 (RM209) a barrel in August last year, the ringgit traded at RM3.90 to the dollar. And when oil fell to below US$30 in January, the ringgit hit an all-time low of RM4.40. The oil price has been climbing steadily since April to above US$50 per barrel currently. But the ringgit is at a weak RM4.21 to the dollar. Why is this? The answer, perhaps, lies in the fact that traders are wary that foreigners hold an estimated US$56 bil (RM233.7 bil) worth of Malaysian bonds. That’s weighing down the ringgit. Some of the bonds are due for redemption soon. Global Markets Research senior strategist for Asia, Irene Cheung says: “Portfolio outflows could have helped weaken the ringgit. However, Cheung stresses that lower oil prices will not bode well for the ringgit. As at end September, based on Bank Negara data, foreign holdings in debt securities and sukuk was equivalent to RM233.7 bil or US$56 bil. Insolvent oil and gas firm silent after defaulting on $125m issue. Standard Chartered became the first commercial issuer of SDR bonds in China. Adding to Perisai’s woes, a 51% owned subsidiary, SJR Marine has defaulted on a financing facility provided by OCBC Al-Amin Bank. The bank is seeking immediate repayment of $20.5m. SWISSCO Holdings dived into a net loss of US$296 million in the third quarter under the weight of massive impairment charges and losses from its associates and joint ventures. The oilfield vessel operator's loss per share was 43.84 US cents for the three months ended September. Net profit from a year ago was US$11.2 million, or 1.66 US cents per share. For the nine months ended September, net loss stood at US$300 million, or 44.52 US cents per share. Revenue fell 63.5 per cent to US$3.8 million during the quarter, with no revenue derived from two wholly owned rigs off-charter since 2015. The company has not received charter collections from three joint-venture rigs with Ezion Holdings. All of the sales came from the offshore support vessel segment, which suffered from lower utilisation and lower charter rates as a result of the downturn in the oil and gas industry. Swissco recognised US$181 million of impairments during the quarter. That comprised US$153.6 million of impairment losses on rigs and vessels and US$27.4 million on receivables and a loan to a joint venture. Share of results of associates and joint ventures fell to a loss of US$107.3 million from a year-ago profit of US$10.7 million due to impairment losses on rigs. Swissco on Monday said that it will file for judicial management in the next few days after failing to win support for a bond restructuring plan. The company was in negative equity of US$29.1 million as at end-September, with US$291.6 million of liabilities and just US$262.5 million of assets. Current liabilities stood at US$280.3 million, compared to US$27.2 million of current assets. 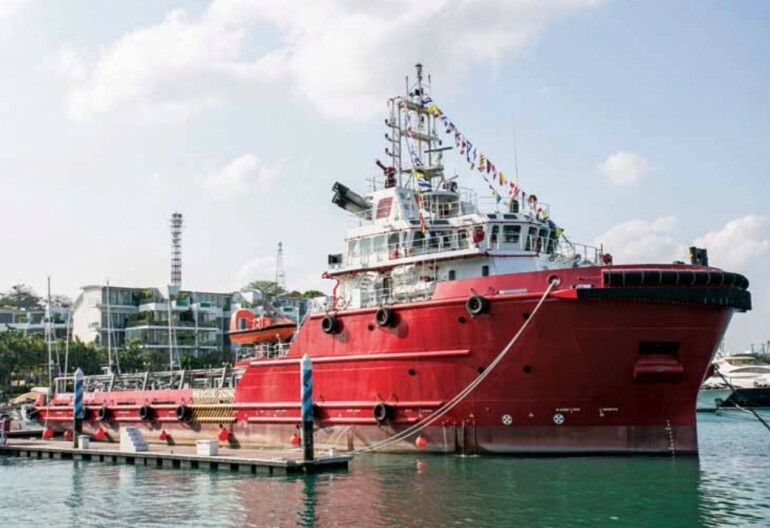 Singapore's Swissco Holdings Ltd, a provider of rig and vessel chartering services, is prepared to file for interim judicial management over the next few days, its chief executive, Tan Fuh Gih, told the Straits Times newspaper. Last week, the company said its bank lenders had not agreed to a proposed restructuring plan that it had presented to them. In October, the company had failed to pay interest on its S$100 million note due in 2018. It could potentially be the second company in Singapore's offshore and marine sector after Swiber Holdings to file for judicial management, which allows a financially distressed company the room to return to financial health under the supervision of the Singapore Court. "Due to the current circumstances, we're no longer able to operate as a going concern, and are prepared to file for interim judicial management," Tan told the newspaper. Reuters could not immediately reach the company via email or telephone. The recent collapse in bond prices following Donald Trump's election is signaling the end of the three-decade-old bull market in fixed income, closely followed value investor Bill Miller told CNBC on Tuesday. The money leaving bonds should find its way into the stock market, the founder, chairman and CIO of Baltimore-based LMM added. 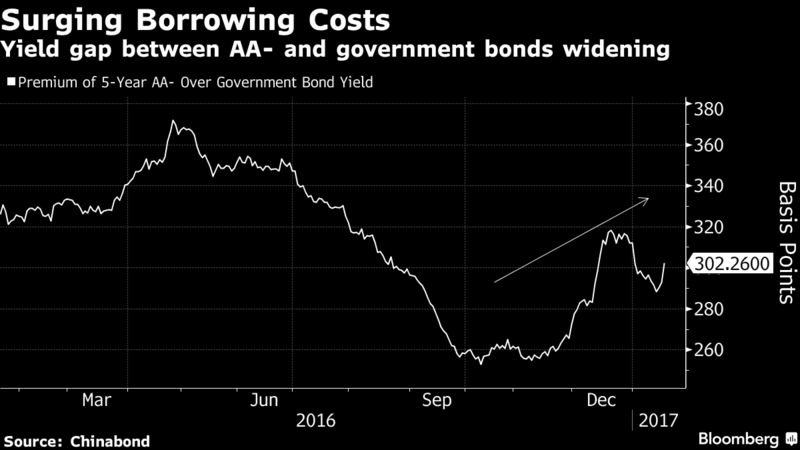 "The over-investment in bonds is going to switch somewhere," he said. 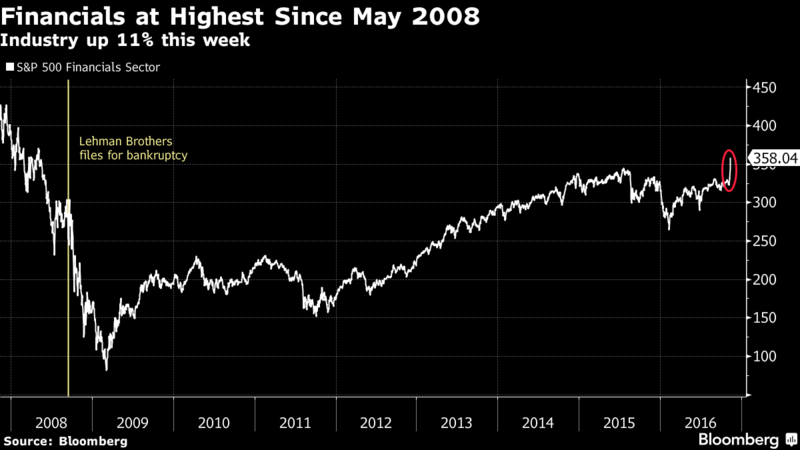 "I think a large part is going to go to equities like it did in 2013." 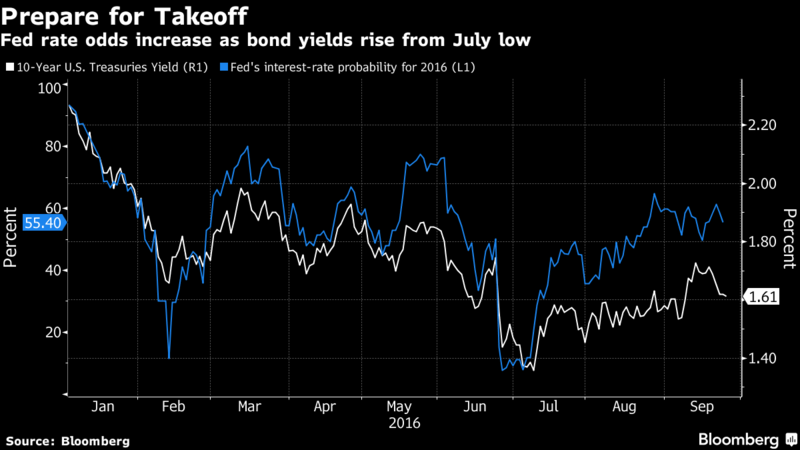 "Stocks are already discounting probably 3 to 4 percent [on the] 10-year [bond yield]," Miller said. "So you have clear sailing for another 75 basis points easy." He noted that "it depends on the growth rate." But don't expect the stock market bull run that began in March 2009 to last forever, Miller warned. "It will last, as secular bull markets, do until it becomes too expensive, relative to the alternatives." 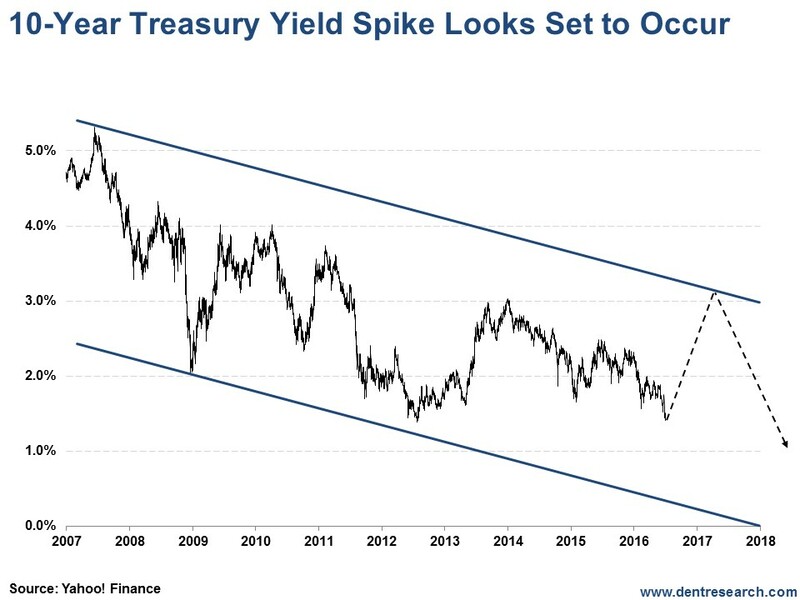 "If rates move up, as I would expect, over next couple of years to ... 3 or 4 percent on the 10-year [Treasury bond], assuming good economic growth, and if the stock market moves up ... from 18 to 22 [or] 23 times [earnings], it'll be pretty much over," he said. Bull markets "die of valuation excesses," he stressed. Are ETFs the best choice for millennials? In the short term, however, Miller said the surge in stocks in the wake of Trump's unexpected victory was not so surprising and was "sensible." Trump is not detail orientated, Miller said, so America should get an economic plan driven by House Speaker Paul Ryan and Senate Majority Leader Mitch McConnell. Miller's LMM, a partially owned subsidiary of Legg Mason, has $2 billion in assets under management. He's also portfolio manager of the top-performing Legg Mason Opportunity Trust fund. Investors are becoming increasingly concerned that the spasms in the $12.5 trillion Chinese bond market over the past few weeks display an unnerving similarity with the collapse in the country's sharemarket in mid-2015. Digital currency outperformed all its central-bank-issued counterparts in 2016 with 125% rise in value. 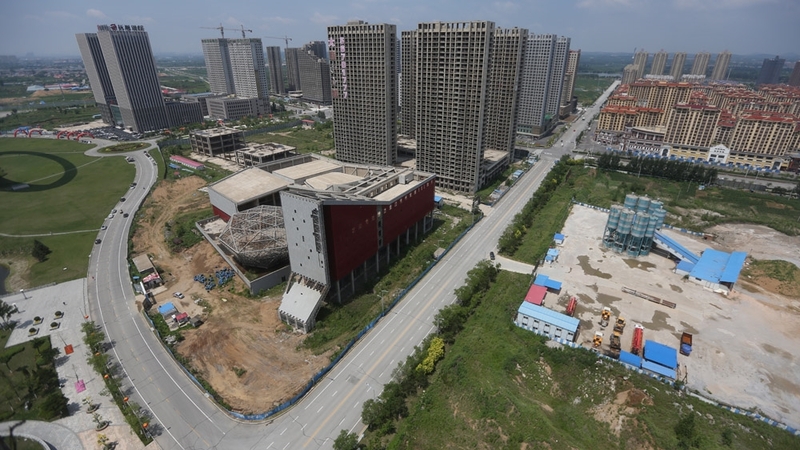 China’s property developers raised Rmb1.14trn in 2016 through privately raised company bonds, corporate bonds, medium term notes and related sources. This was a 26% increase YoY, for the first time breaking Rmb1trn. However, both domestic and foreign financing channels have been blocked since last October due to tightening regulations on capital raising, along with a strong U.S. dollar. As a result, property developers are confronting a significant increase in the cost of financing that could cause them to reach crisis levels in the near future. We estimate Rmb544 billion in corporate bonds alone will come due in 2H 2017 and early in 2018. Kwok Kian Tow Peter, who holds S$250,000 of the Singapore-based company’s notes, is seeking a legal injunction to stop the sale to New York Stock Exchange-listed Navios Maritime Partners that was agreed on April 21. 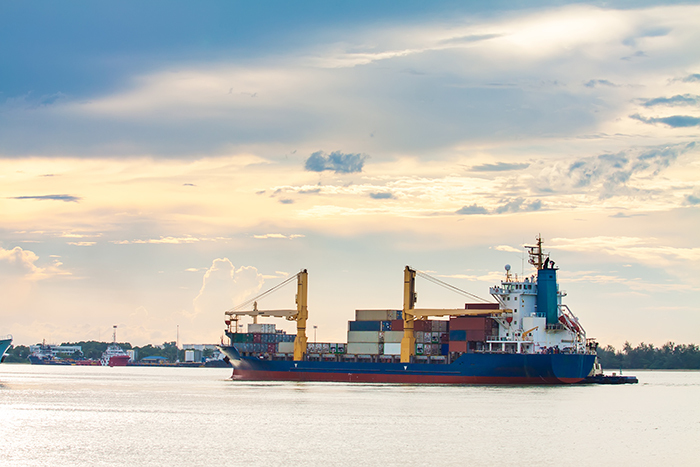 Navios Maritime Partners L.P. an international owner and operator of drybulk and container vessels, announced today that it has agreed to acquire the entire container fleet (the “Fleet”) of Rickmers Maritime (the “Trust”) for about $113.0 million. Singapore has ramped up its focus on developing an insurance-linked securities (ILS) market, taken the radical step of offering an ILS grant that will fund 100% of the upfront costs incurred in issuing catastrophe bonds in the country and setting up a working group to explore opportunities for the country in ILS. 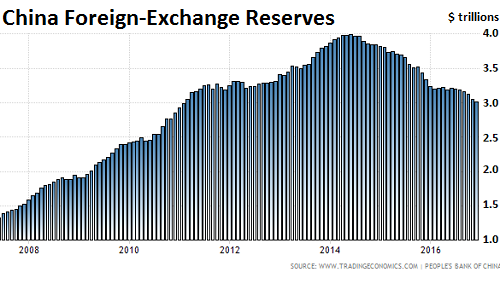 Is China creating new rules for sovereign debt market? 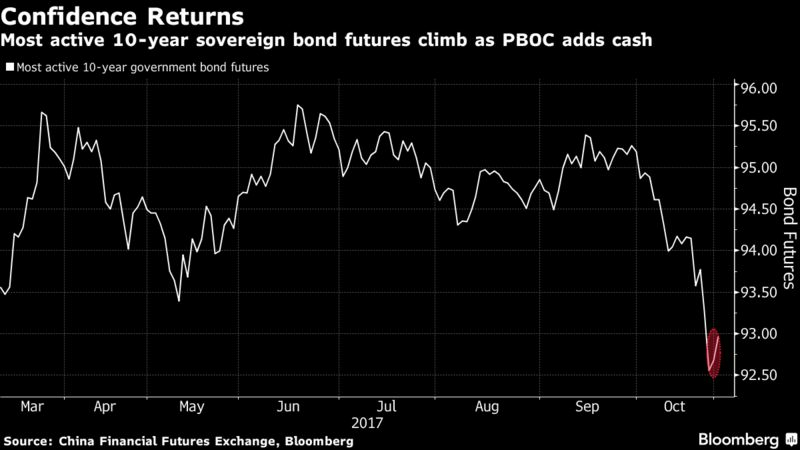 China’s first sale of sovereign dollar bonds since 2004 was met with a strong investor appetite, even absent a credit rating, suggesting confidence in the country’s economy, according to bond-market analysts. But it also raises a question: Is China creating new rules for the game? More than 300 investors poured in $22 billion to purchase China’s sovereign dollar-denominated bonds on Thursday, a demand 11 times the deal size. A $1 billion 5-year bond was priced to yield 2.196%, just 15 basis points over U.S. Treasuries, while a $1 billion 10-year bond was priced to yield 2.687%, or 25 basis points over the U.S. benchmark, according to China’s Ministry of Finance. 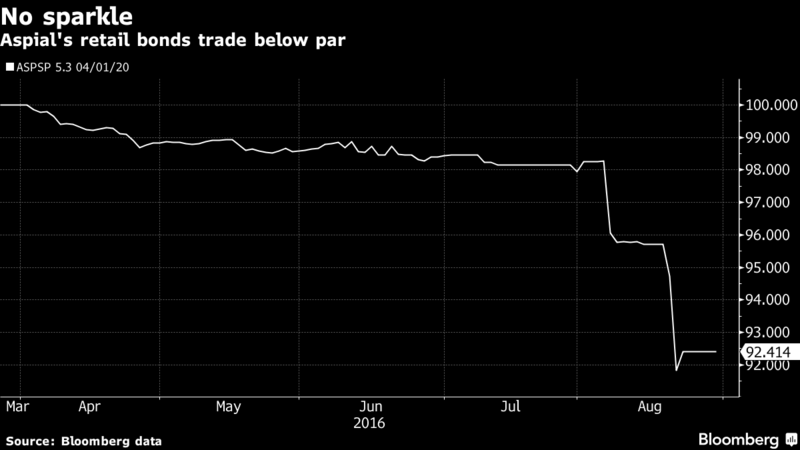 This is the first time China has offered sovereign dollar bonds without a rating. It comes after global ratings agencies Moody’s Investors Service and S&P Global Ratings downgraded China’s sovereign credit rating by one notch in May and September, respectively, both citing rapid debt accumulation. China's finance ministry said on Tuesday that raising funds was not the main purpose of the issuance, as China expects sustained economic growth and has sufficient foreign exchange reserves. The offering of dollar bonds will boost the variety of financial products in the global capital market, the ministry added, and help further open China’s financial system. Among the foreign investors were Pacific Investment Management Company LLC, a California-based investment management firm; giant American asset manager Invesco Ltd; and one of the world’s largest asset managers, BlackRock Inc., according to people familiar with the matter. Head of Asia bond syndicate at Standard Chartered Bank, Li Chao, told Caixin that more than 70% of the bond investors were foreign asset managers, including some sovereign wealth funds. “It might be a challenge for some investors to buy unrated bonds, but to this dollar sovereign bond, rating is not a big concern,” said Jethro Goodchild, head of Asian Credit at Aviva Investors Asia, an asset management company. Li said demand for the bonds stems from confidence in China’s economic growth, which many investors believe is even stronger than countries with a triple-A rating. The demand also suggests that China would be able to build its own yield curve of bonds denominated in the dollar if it would regularly issue sovereign dollar bonds, which would reduce the impact of the benchmark U.S. Treasuries upon pricing, said a bond investor from an asset management firm. The head of the ministry’s finance department, Wang Yi, told investors in Hong Kong on Wednesday that whether China is going to be a regular issuer in the non-yuan bond markets largely depends on the country’s future financing demands. Given the strong appetite, some market participants wondered whether credit ratings would play a less important role in future sovereign bond offerings from China. A reliable rating would help bond issuers attract more investors, particularly those who know little about the credit quality of the issuing entity, said a senior analyst from S&P Global Ratings. But he added that rating is not the only factor in pricing a bond. 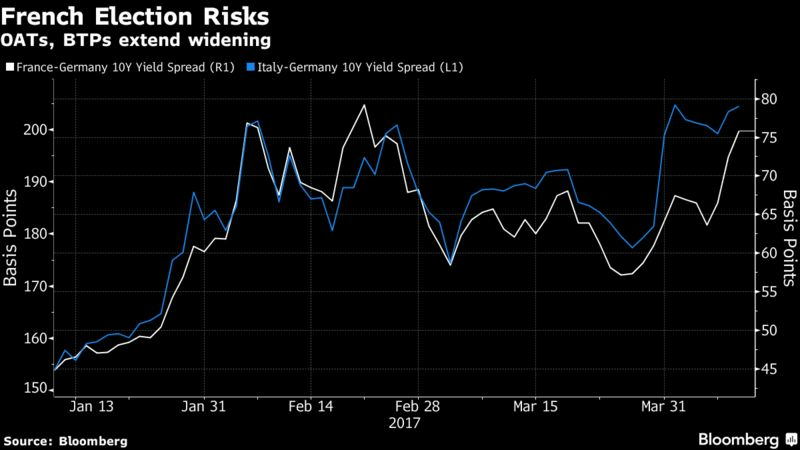 “Vibrant trading and a good price already prove that the market has given the sovereign bonds a rating of its own,” the analyst said. An analyst from Moody’s suggested that the offering of sovereign bonds without a rating by global agencies is a behavior “with Chinese characteristics.” He suggested that China may encourage other issuing entities — especially state-owned enterprises and local government-financing vehicles — to follow suit. But some investors don't believe that China is able to create new market rules. “It would seem to be quite difficult for China to expand the investor pool of its dollar sovereign bond without a rating,” said a foreign fund manager. China’s central bank injected $47bn into its financial system, its largest intervention in nearly a year, in an effort to calm investor fears that Beijing’s crackdown on debt-fuelled growth would put a brake on the country’s rapid expansion. Yields on China’s benchmark 10-year sovereign bond had risen above 4 per cent this week, a level not seen since 2014, following a sell-off that began following last month’s Communist party Congress, where the outgoing People’s Bank of China chief warned of the risks from excessive debt and speculative investment. Although Thursday’s Rmb310bn injection saw the yield eased to 3.98 per cent from an intraday day peak of 4.015 per cent, analysts warned the PBoC had no clear target and that yields could rise beyond 4 per cent again without further easing. 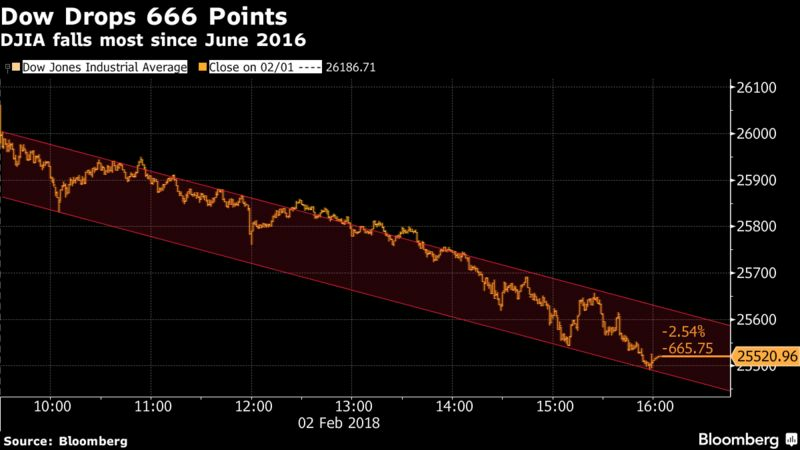 “They don’t want the market to panic but I don’t think they have a set target,” said Zhou Hao, senior emerging markets economist at Commerzbank in Singapore. Emerging markets have been suffering a rough patch as investors have retrenched following Venezuela’s recent bond default, Saudi Arabia’s threatening war against Iran and continued political turbulence in Turkey. The jitters have also resulted in price swings for commodities such as metals and oil. But China has come under particular scrutiny after recent remarks by policymakers that they are determined to crack down on easy credit, which many analysts believe has created bubbles and oversupply throughout the economy. Loose monetary policy in China has helped keep bond yields artificially low as central bank liquidity — often in the form of stimulus intended to support the economy — has flowed into financial markets. But policymakers are concerned the easy credit has masked concerns over the build-up of bad debt and a slowdown in China’s economy. The PBoC’s recent decision to hold off on adding liquidity to the system has led to a correction in Chinese markets as those fears are priced in. Yields remained steady during the party congress in October as banks, mutual funds and other state-backed institutions — often referred to as the “national team” for their role in stabilising the market — continued to buy sovereign debt. But the buying has recently slowed amid signs the government planned to rein in credit growth. 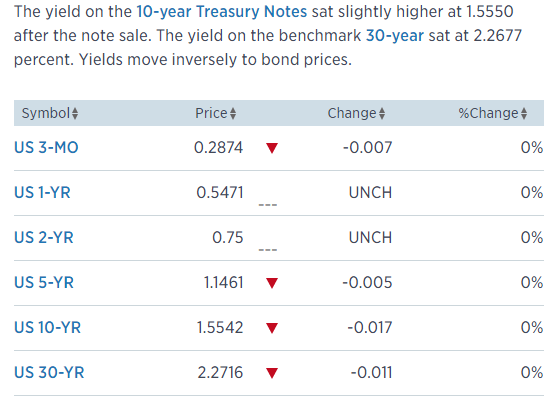 Yields on the 30-year U.S. Treasury bond US30YT=RR passed 3% for the first time since May 2017 and the 10-year note rose to an almost four-year high of 2.793% a day after the Federal Reserve raised market concerns about inflation. 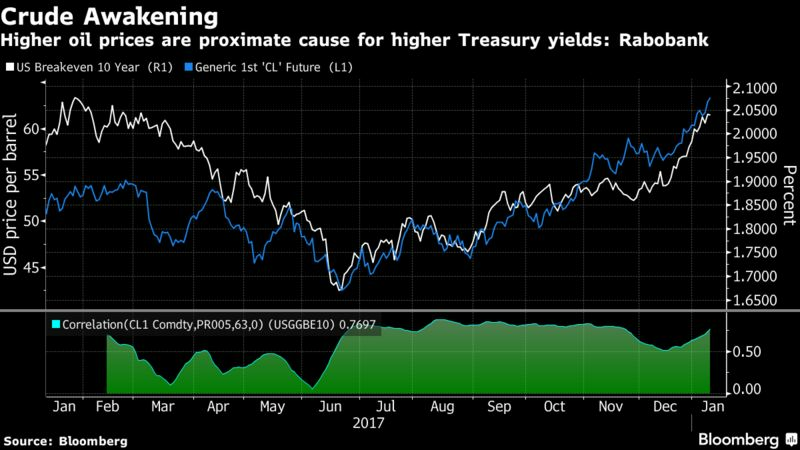 Treasury traders assigning blame to Japanese monetary shifts and Chinese bond preferences for this week’s selloff may be overlooking a longer-term threat: supply from European governments drunk on quantitative easing. 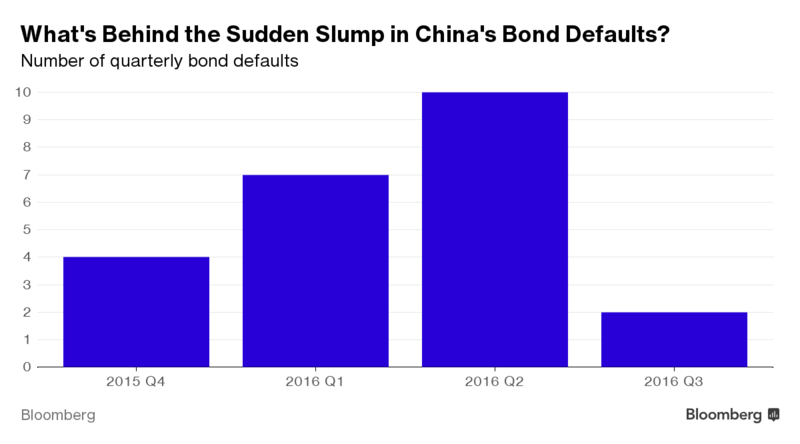 A $2.2 trillion superbank is feeling the pinch of China’s bond slump. 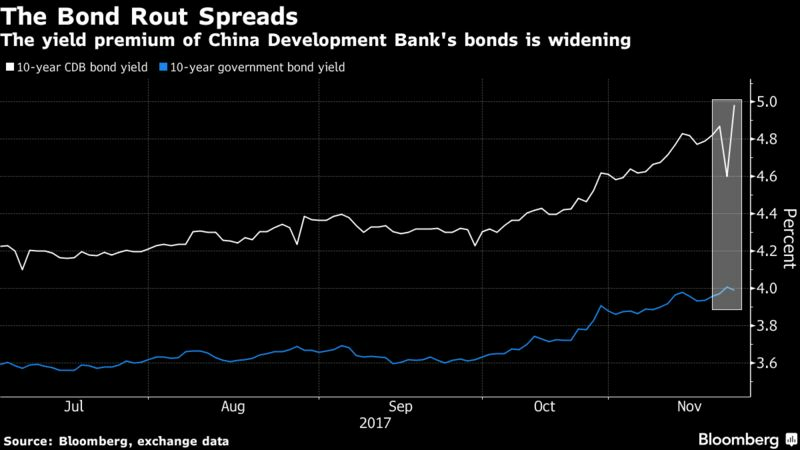 The yield on China Development Bank’s 10-year bonds surged past 5% on Wednesday, bringing the rise this quarter to about 70 basis points. The latest increase comes in the wake of tightened rules unveiled this month for CDB and two sister banks, with regulators pushing for strengthened risk management. 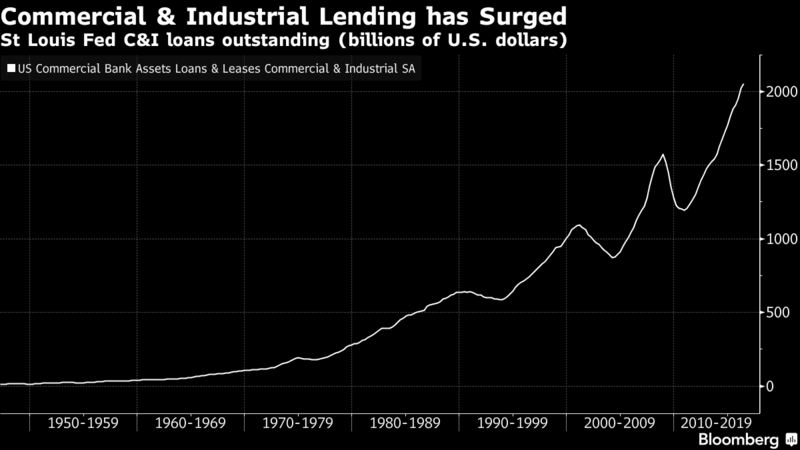 As these lenders rely on market funding rather than deposits, the bond rout poses an increasing challenge both to their earnings and the credit they extend. 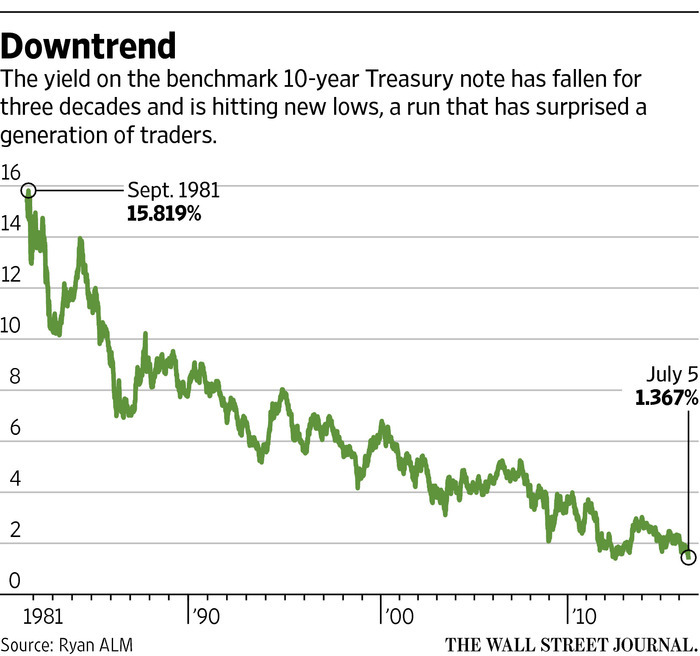 So what to expect from US bonds market? Major drop?